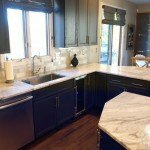 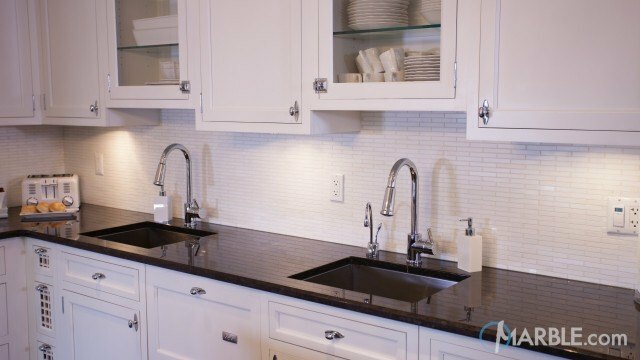 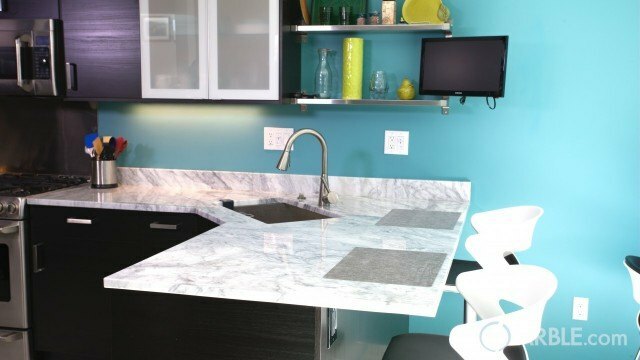 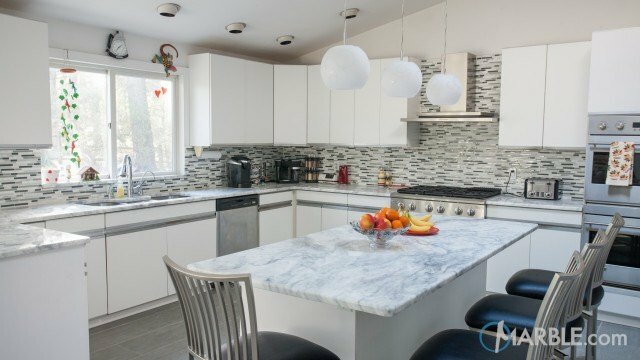 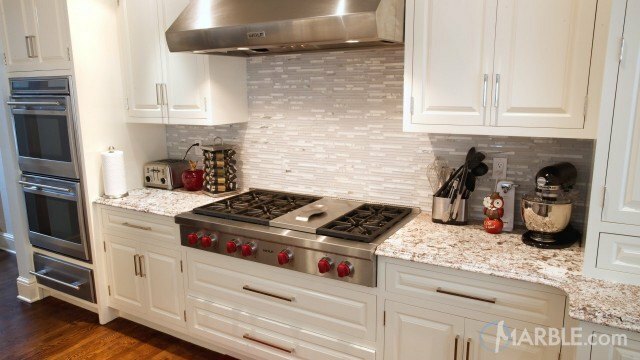 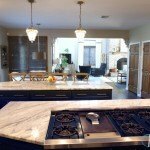 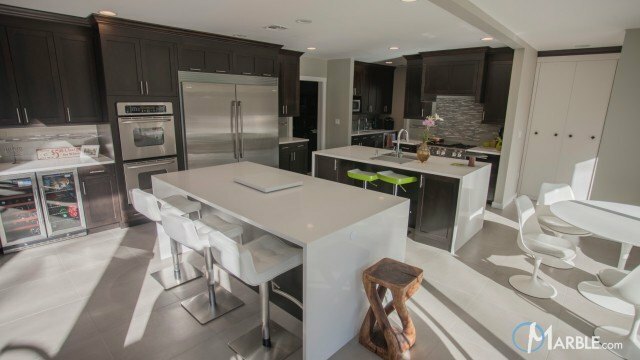 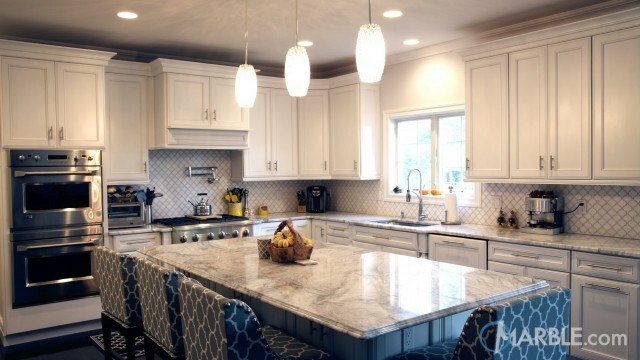 Super White Quartzite with a 1/4 Round Edge is the centerpiece of this geometric black and white kitchen. 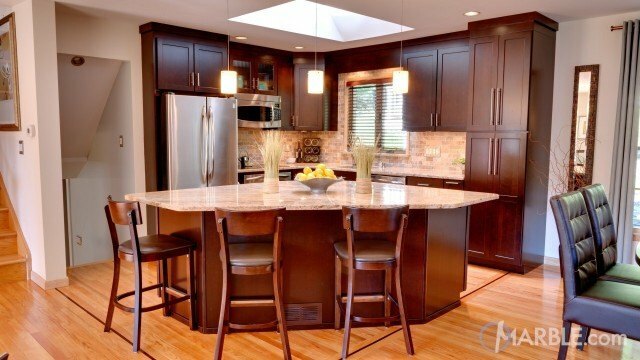 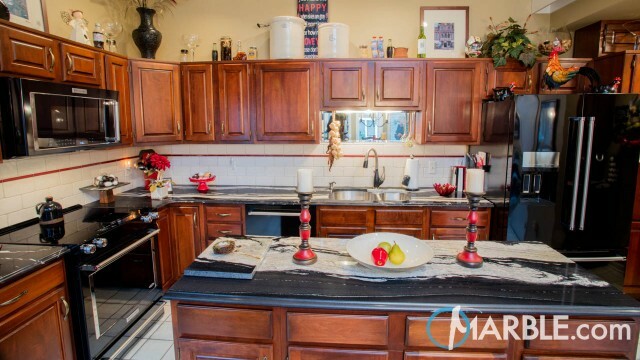 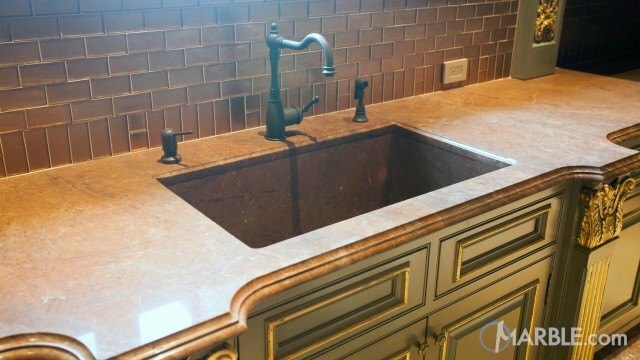 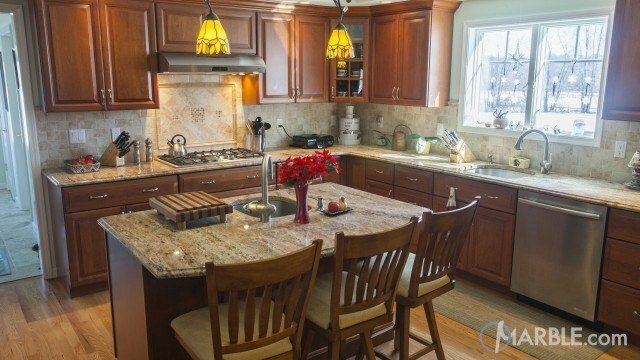 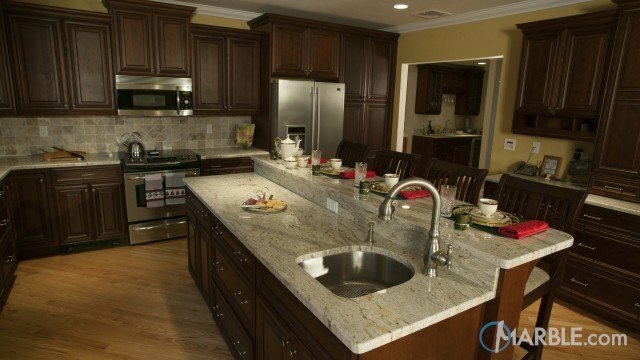 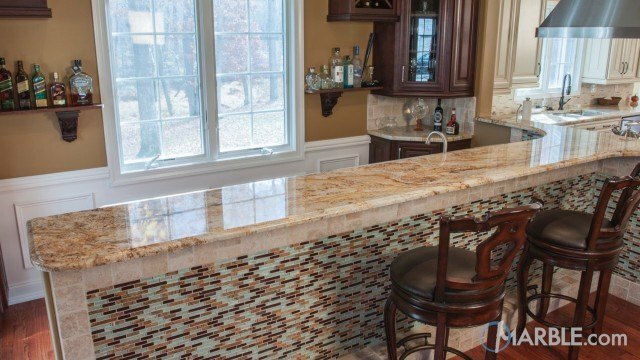 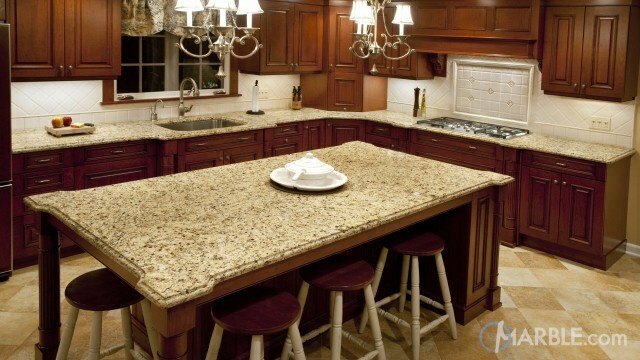 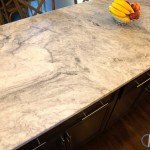 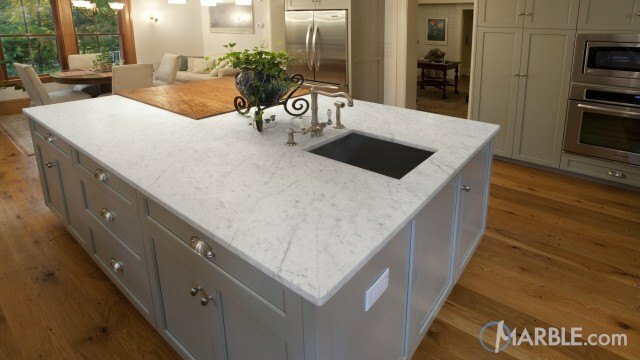 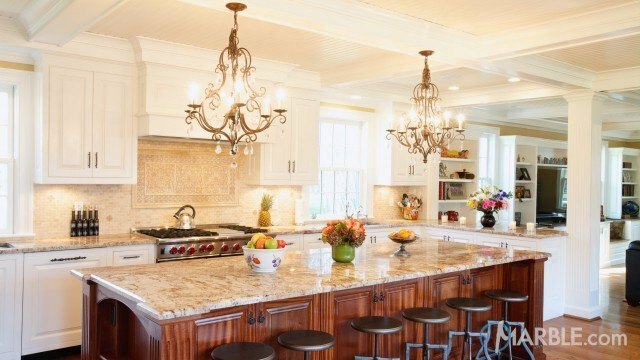 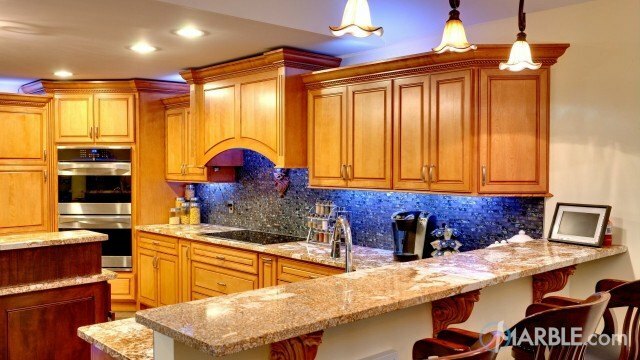 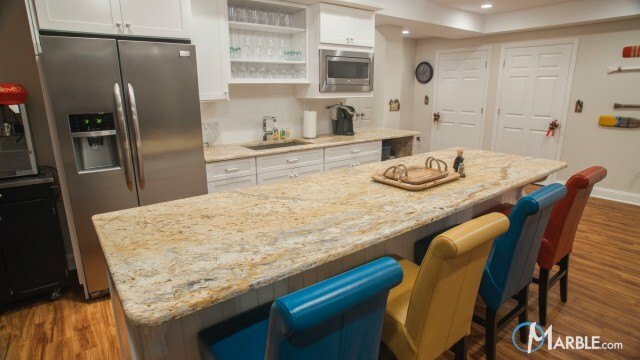 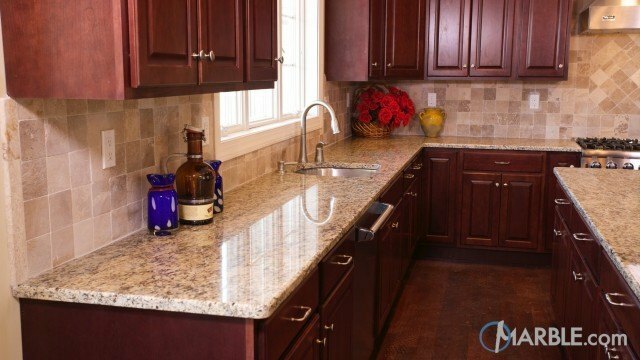 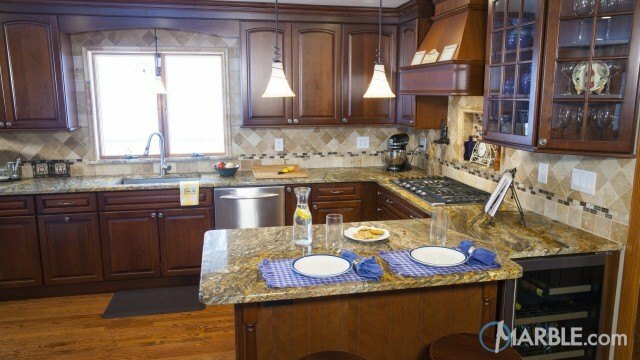 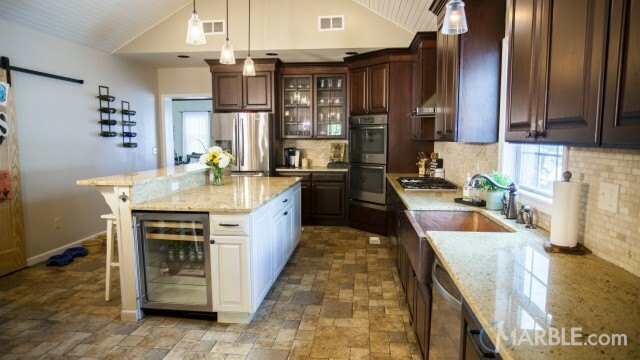 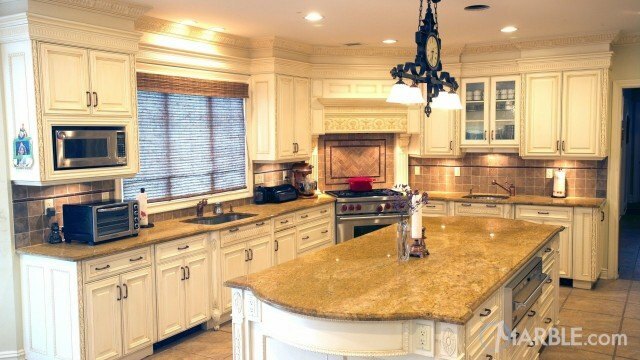 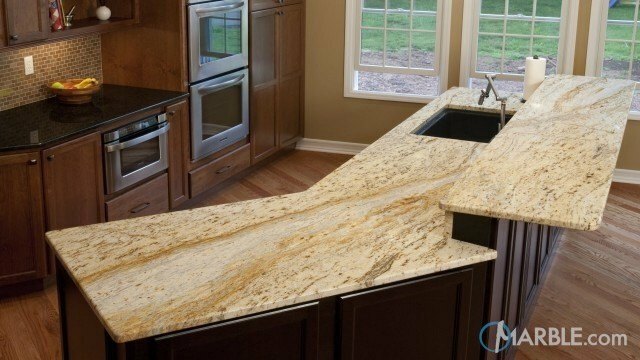 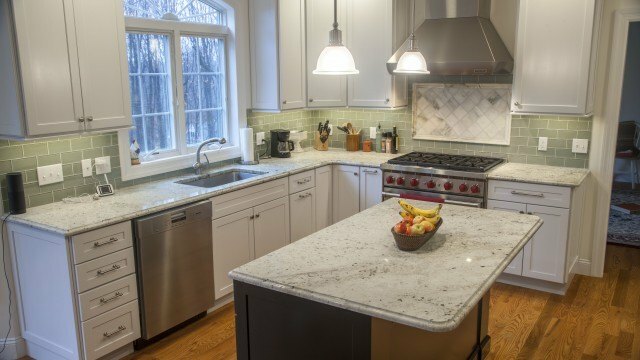 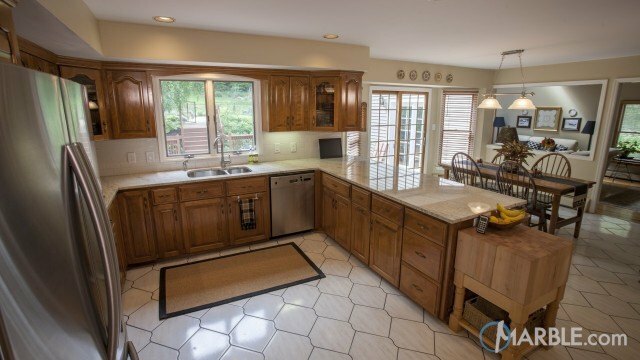 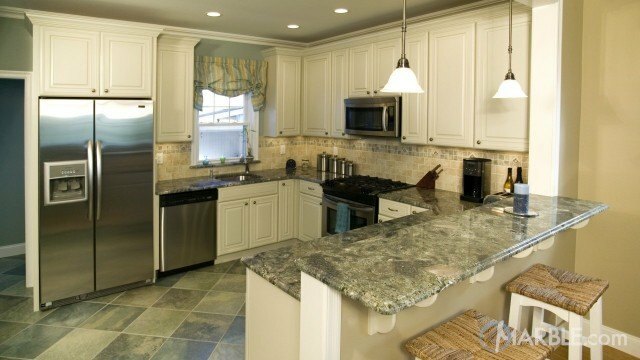 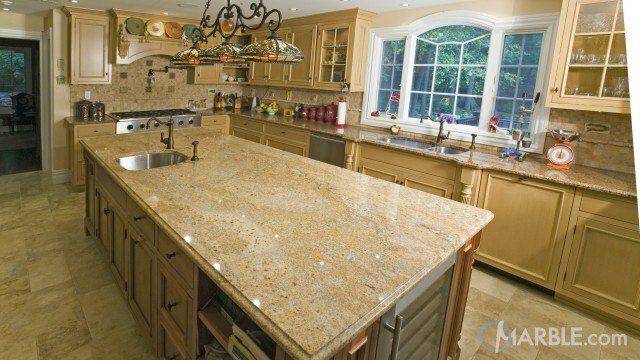 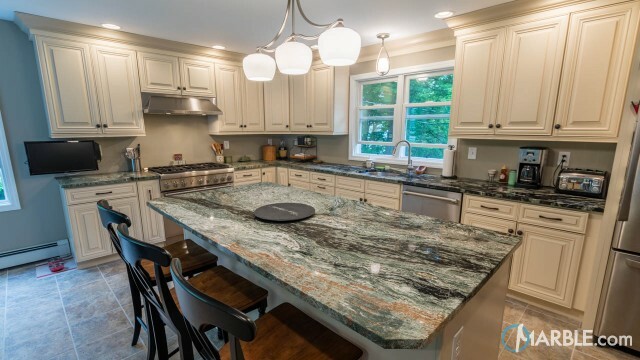 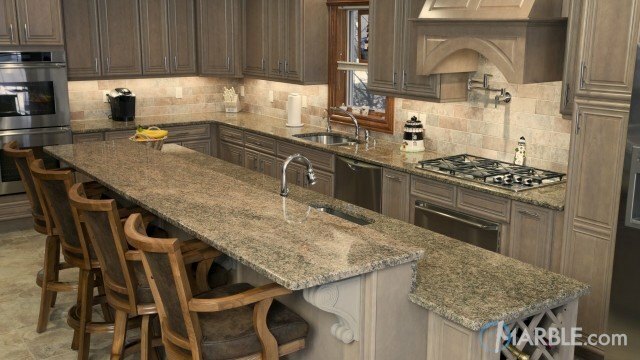 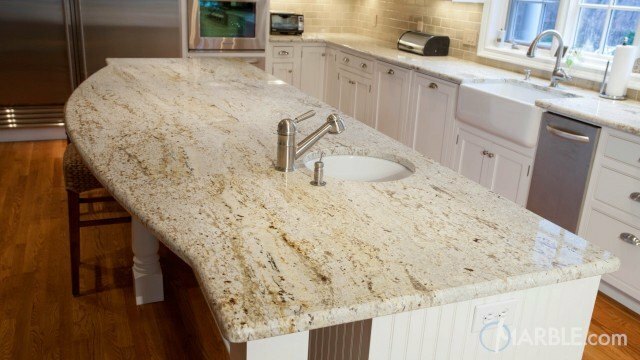 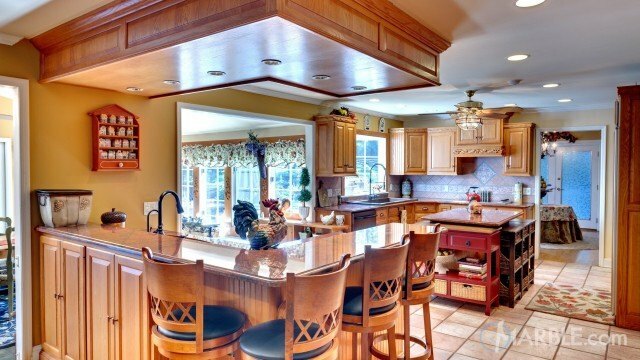 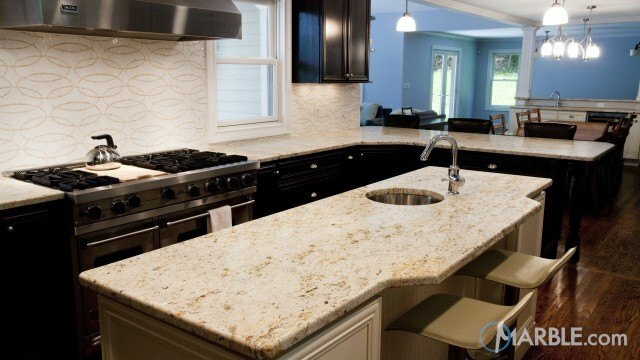 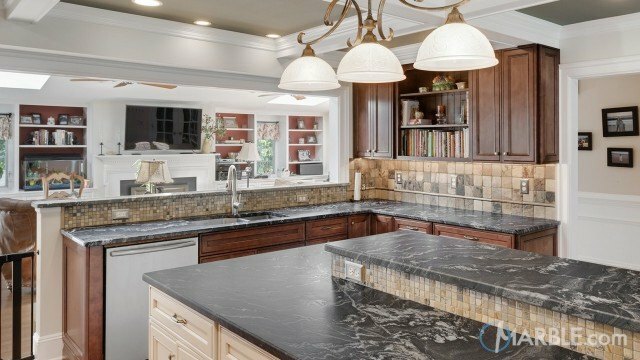 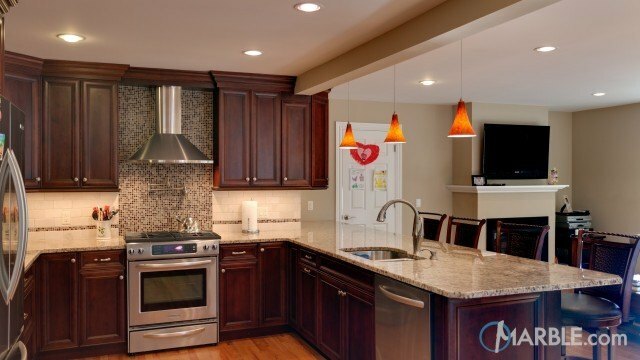 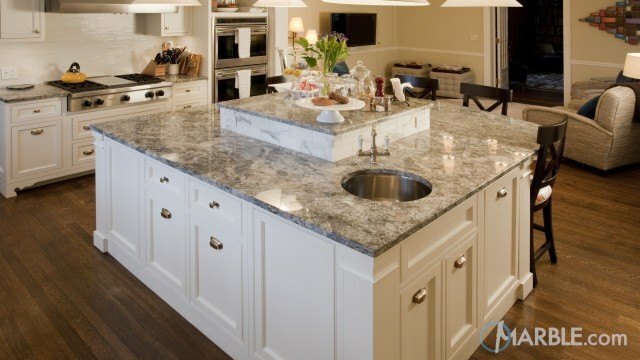 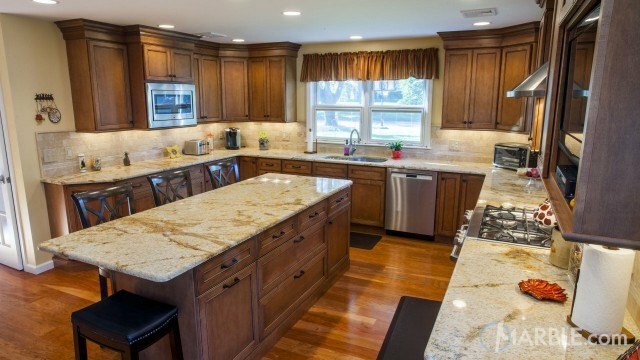 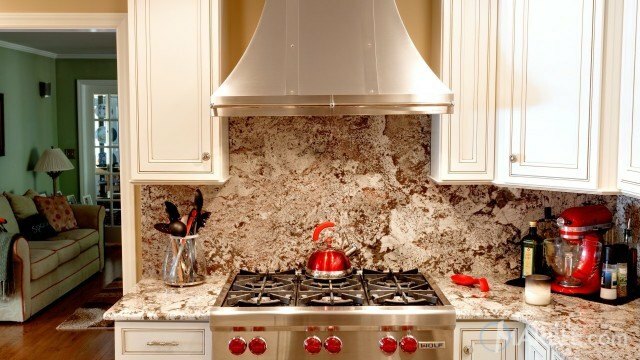 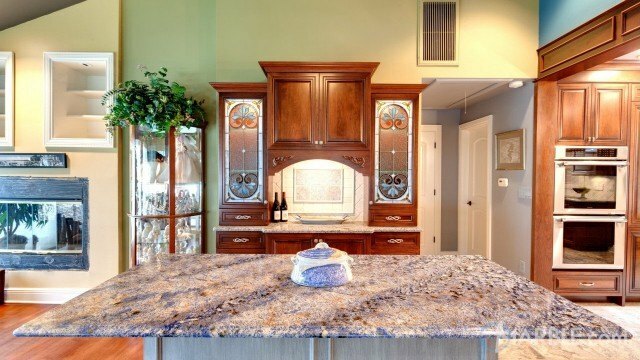 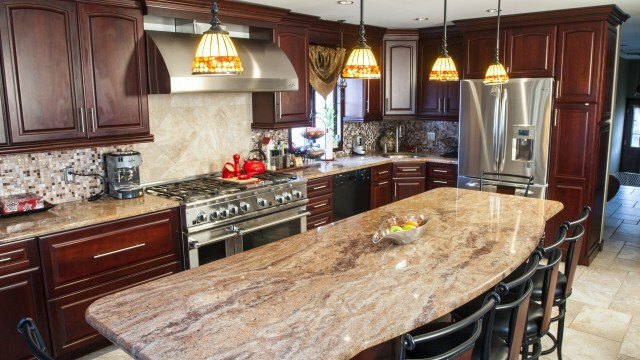 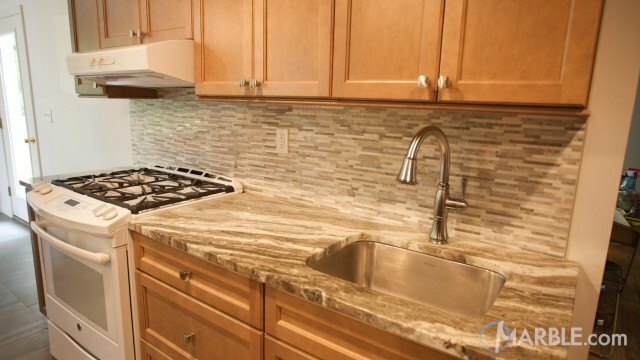 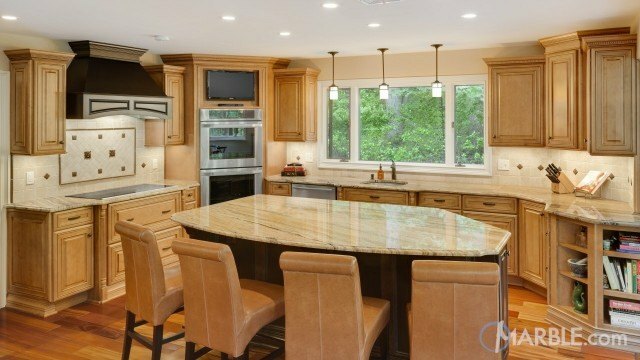 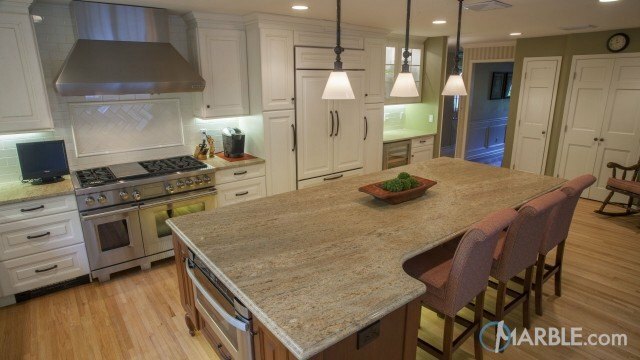 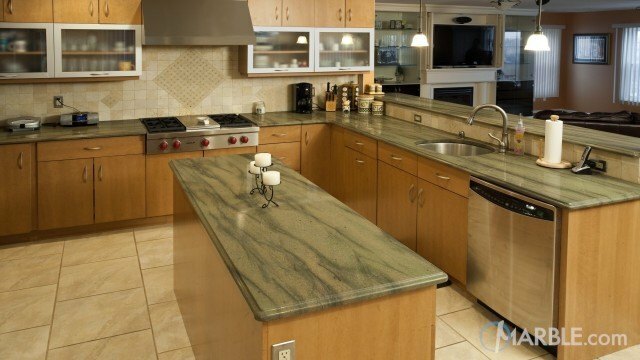 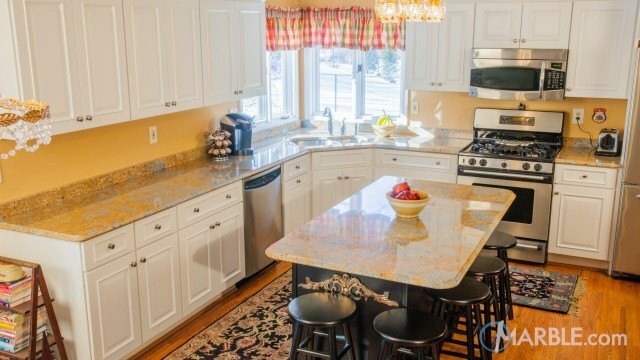 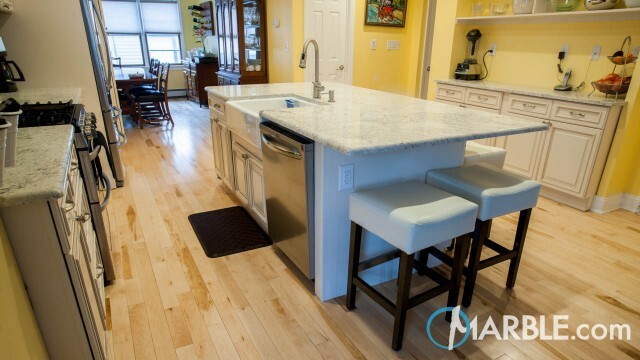 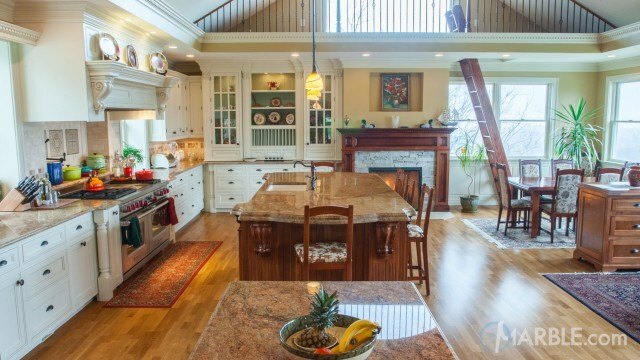 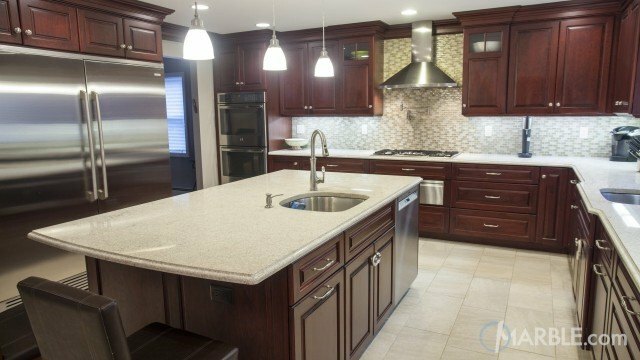 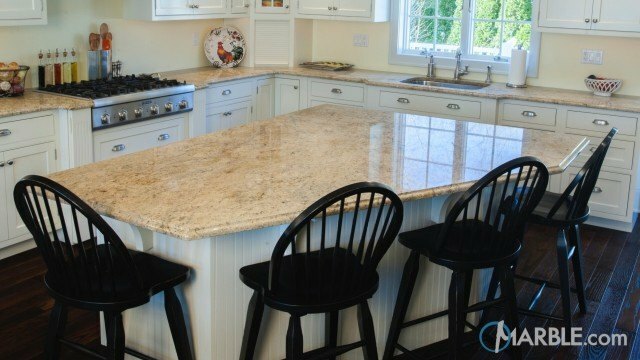 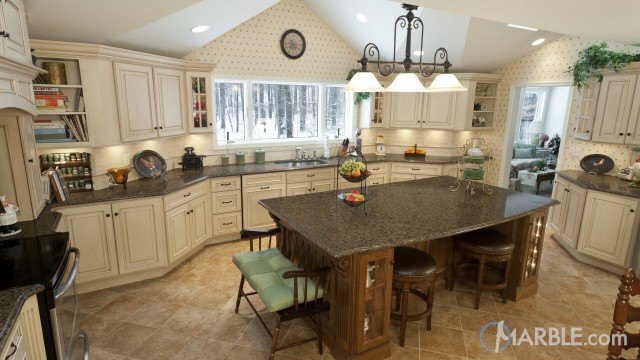 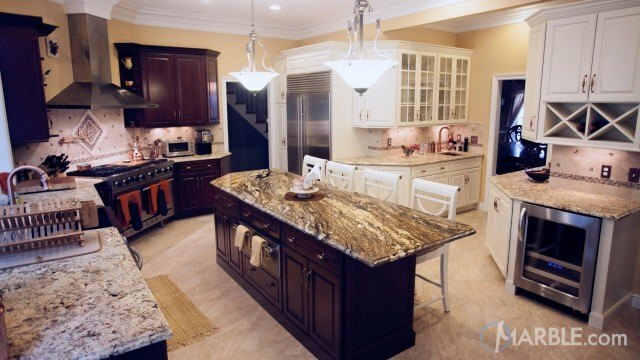 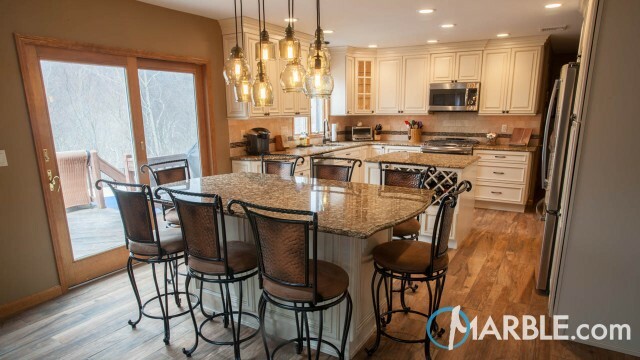 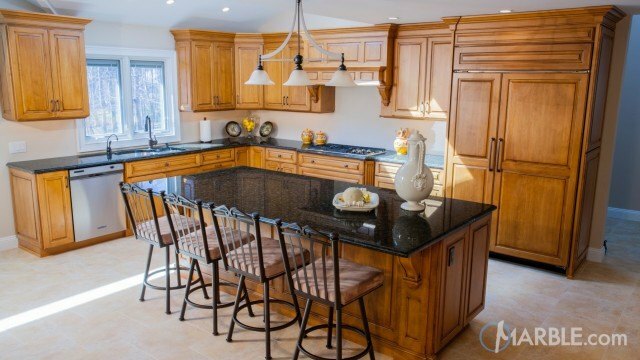 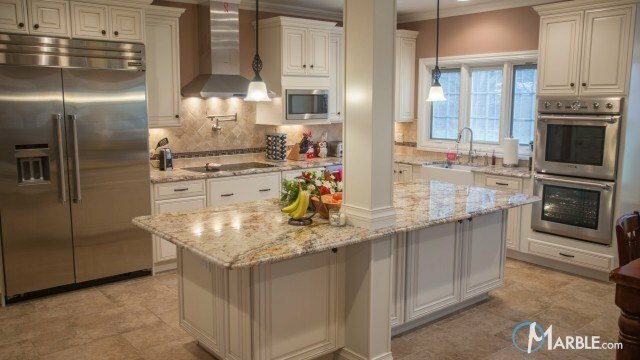 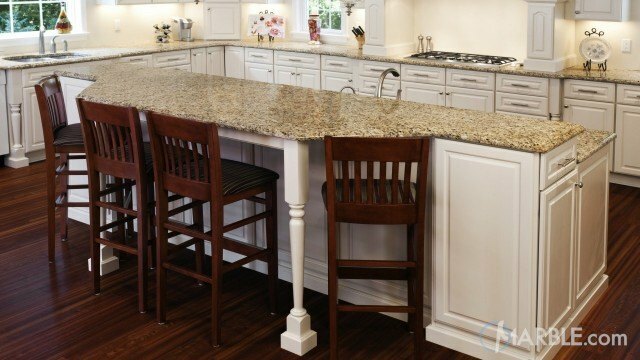 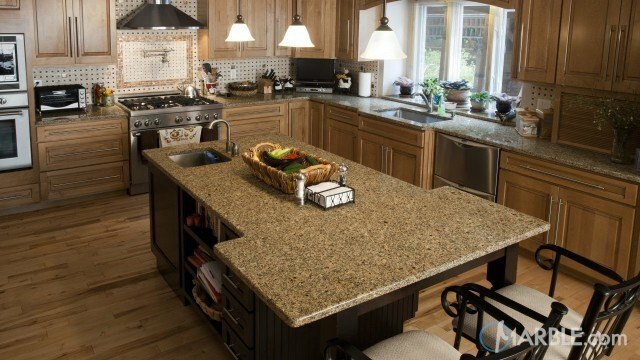 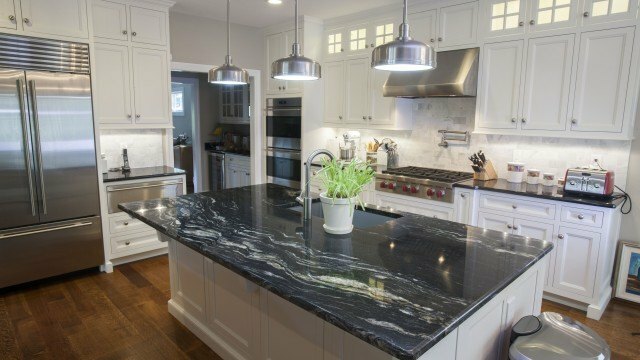 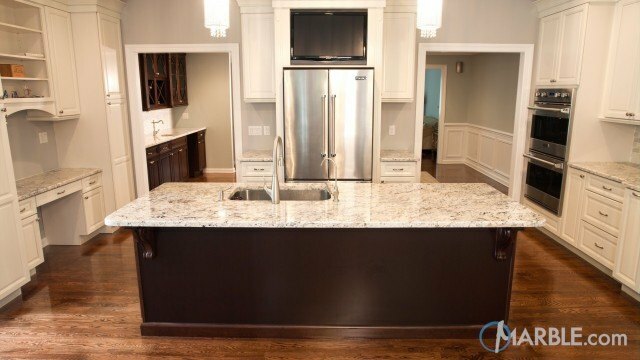 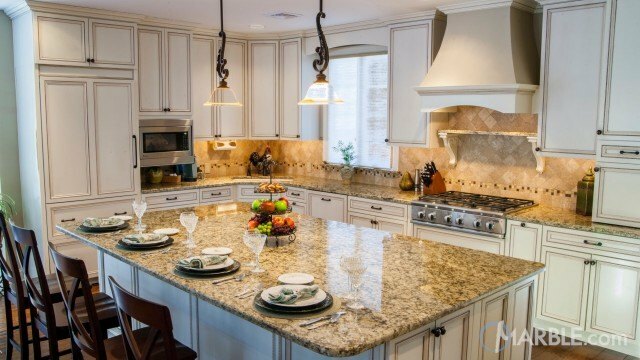 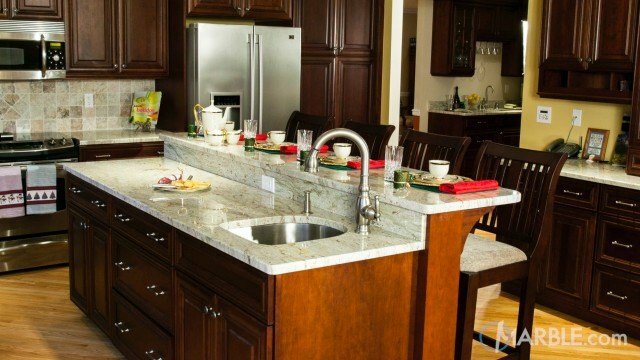 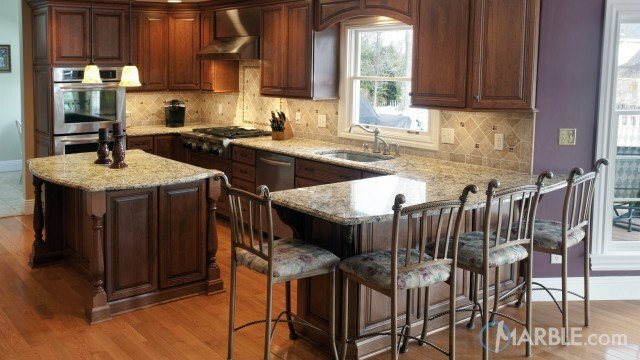 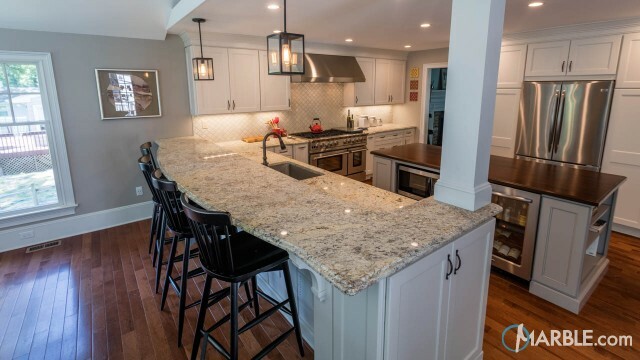 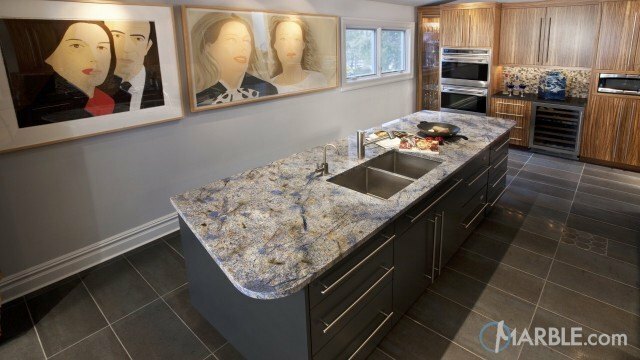 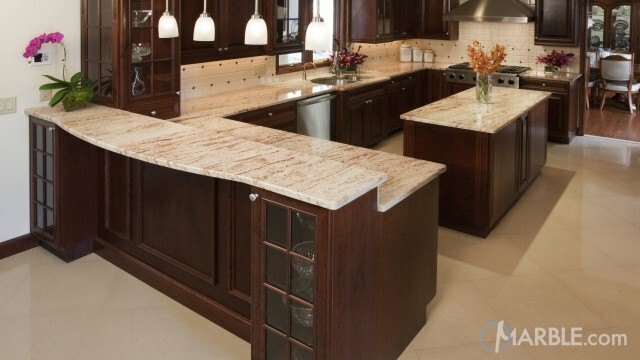 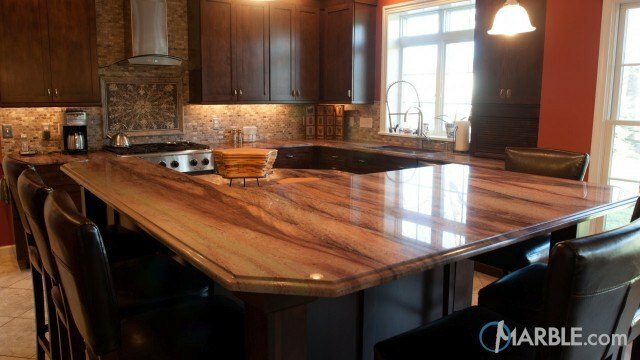 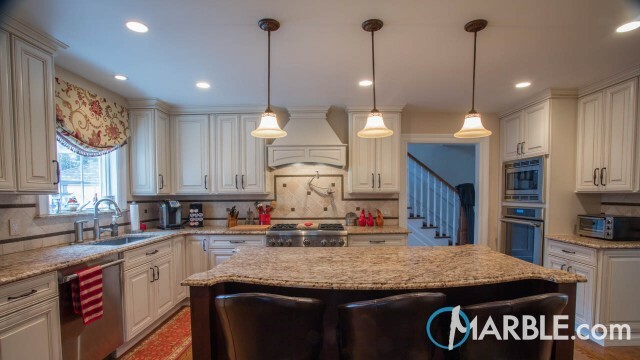 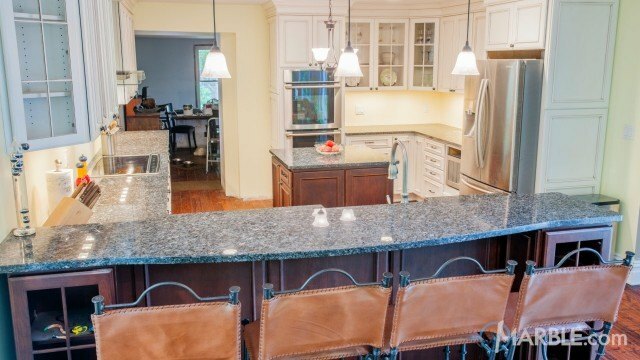 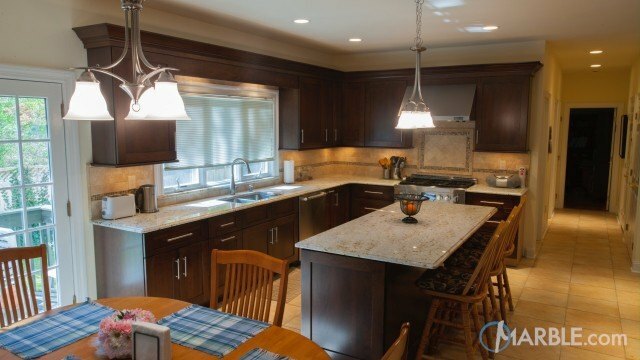 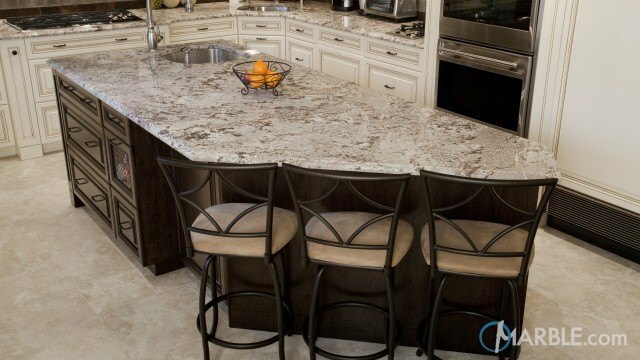 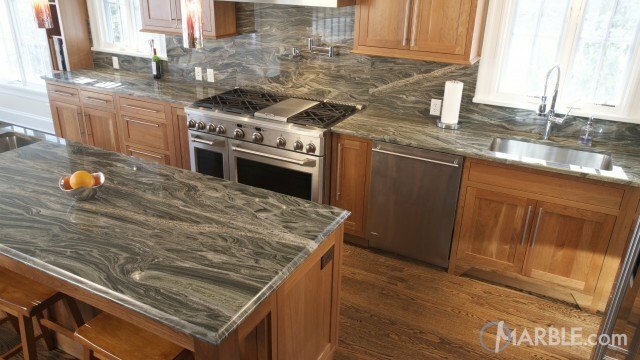 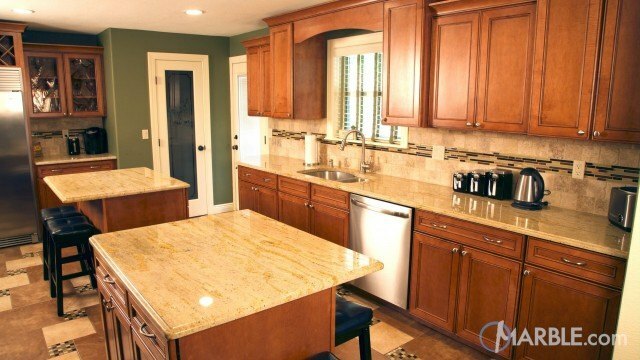 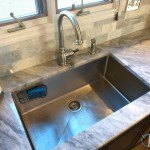 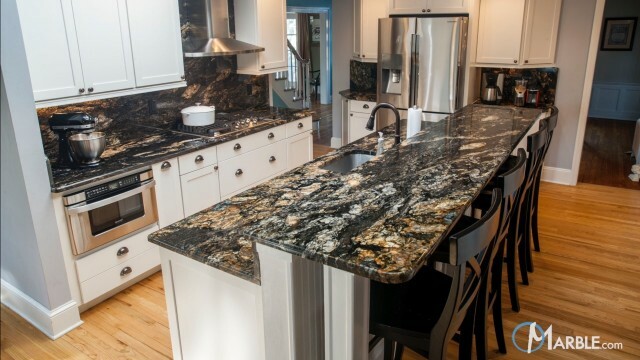 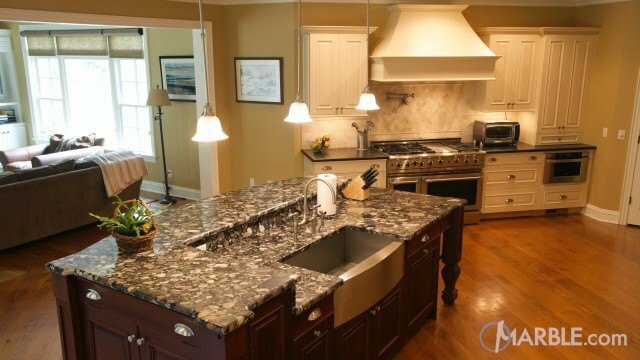 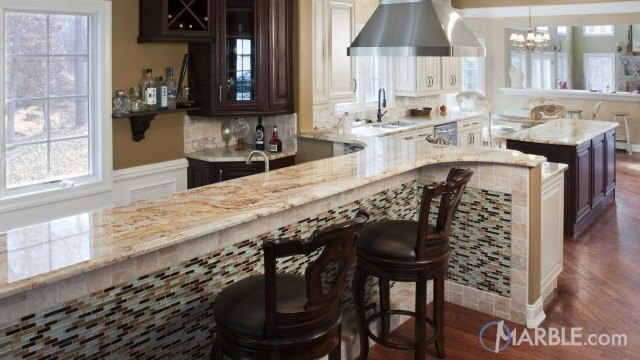 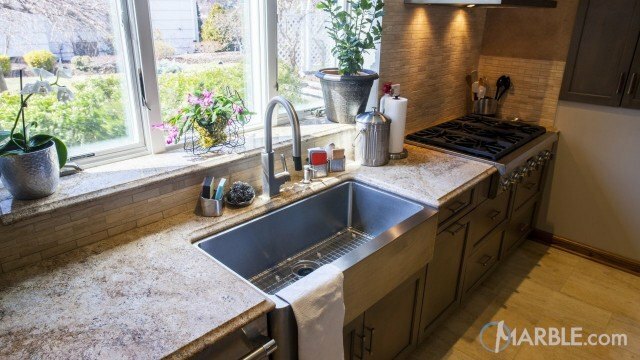 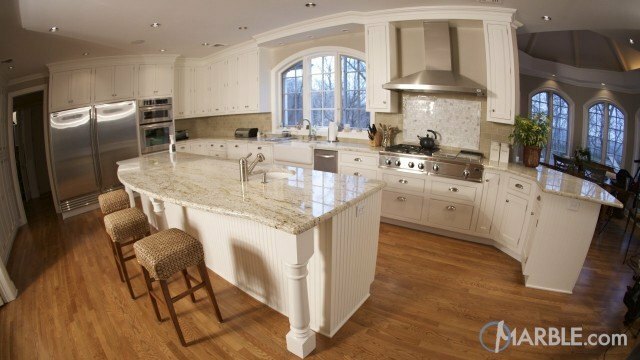 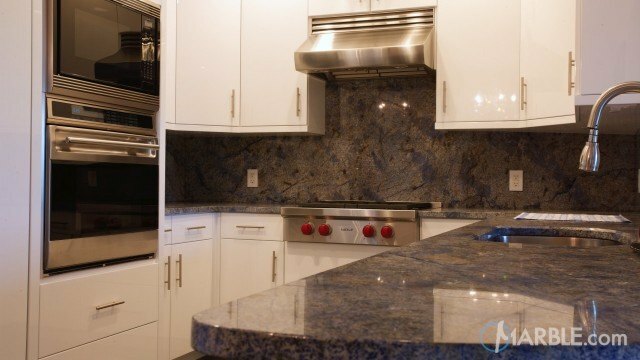 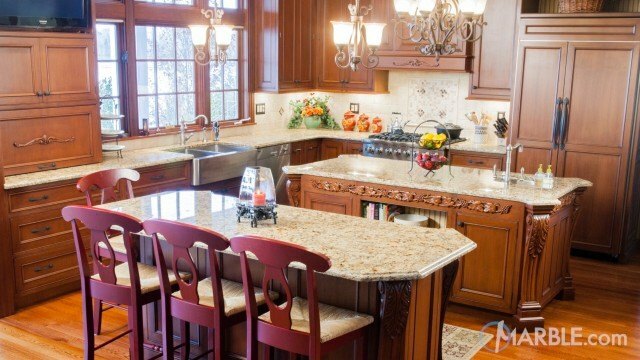 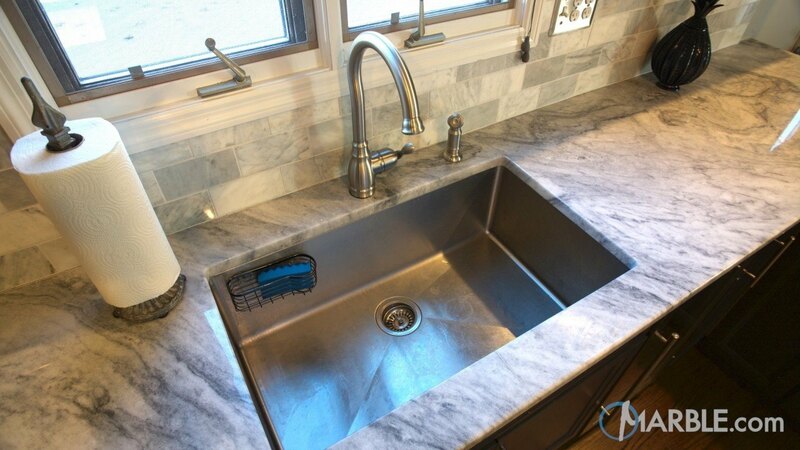 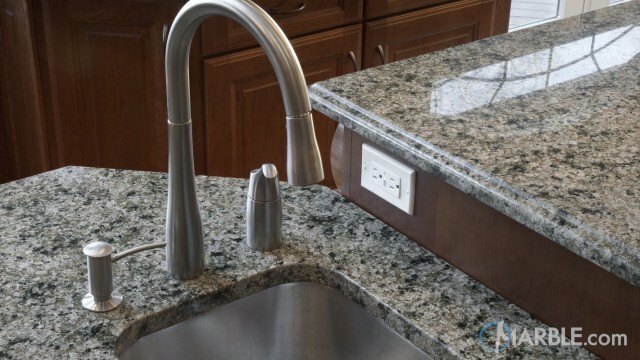 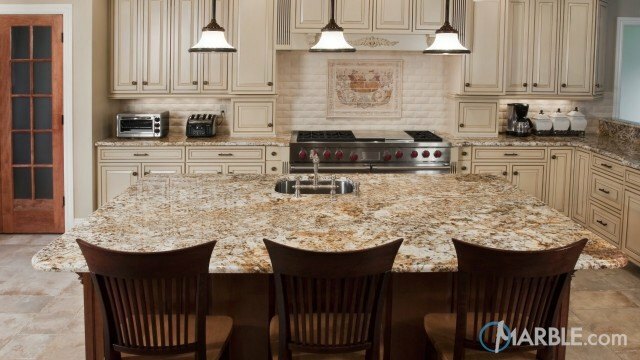 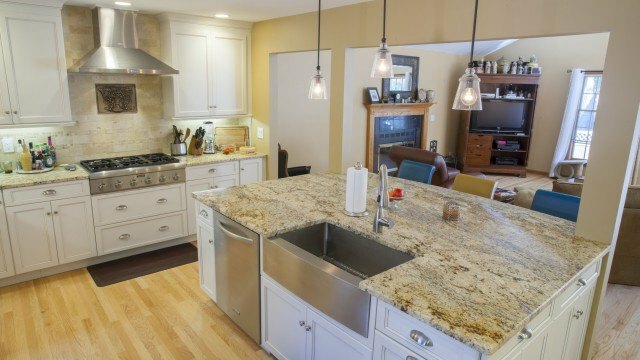 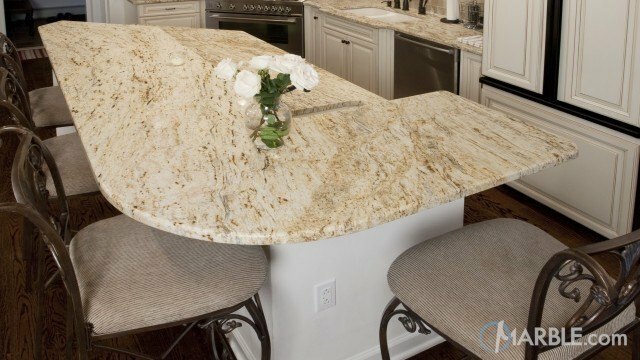 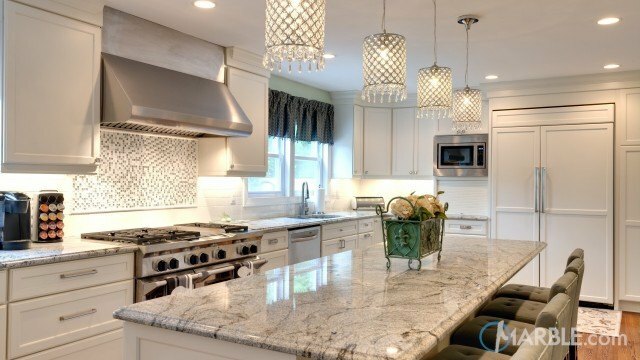 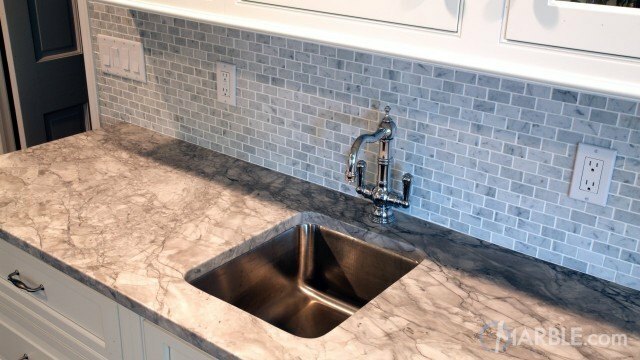 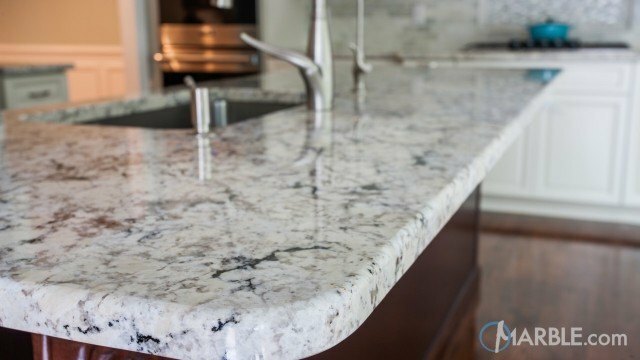 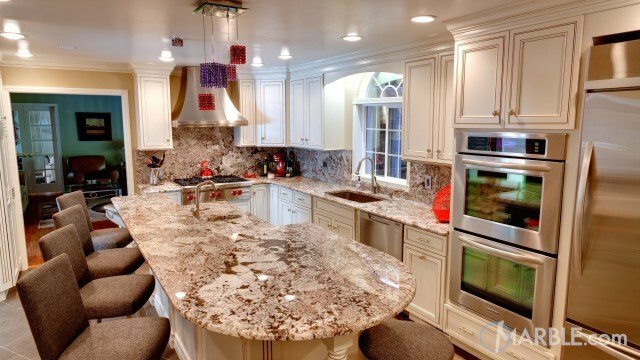 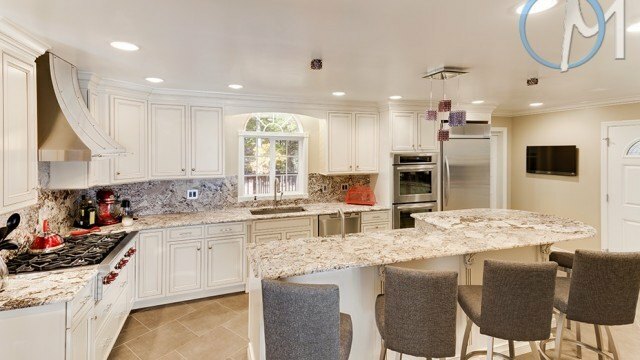 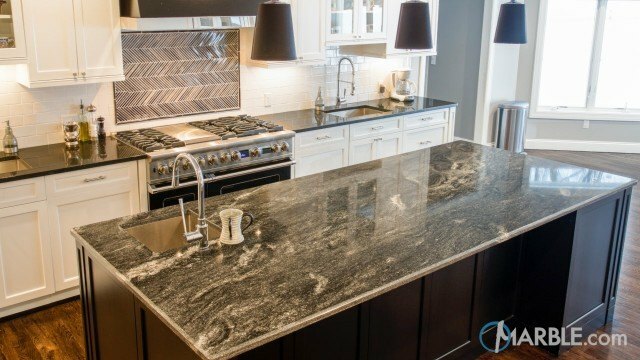 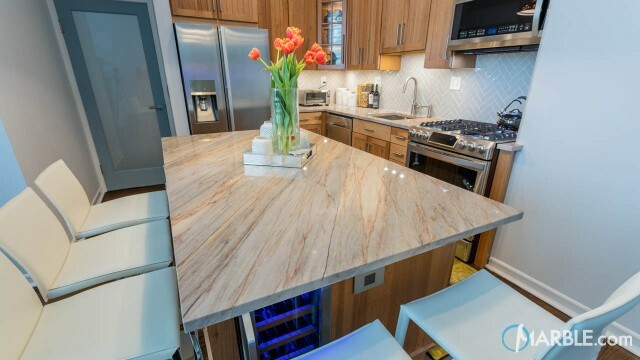 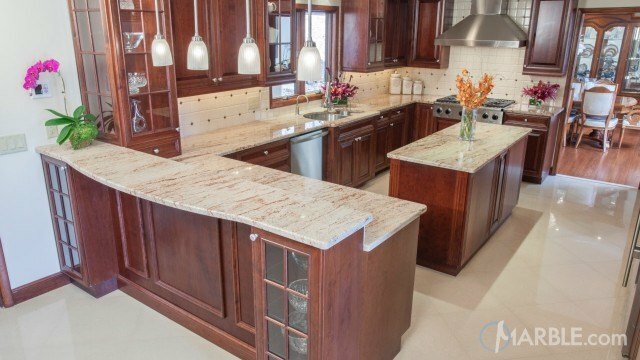 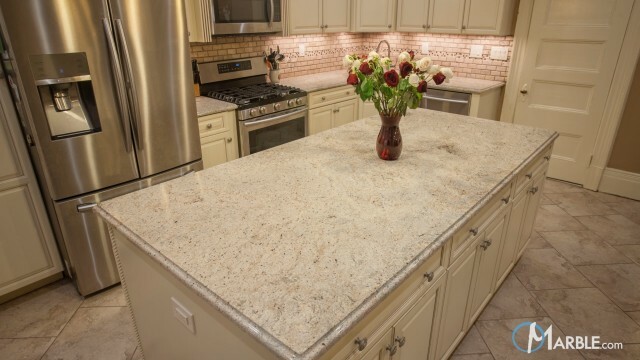 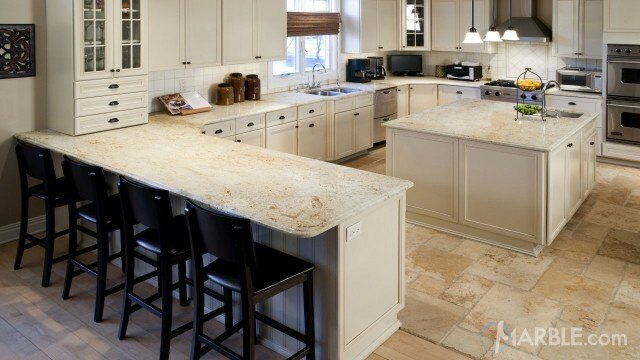 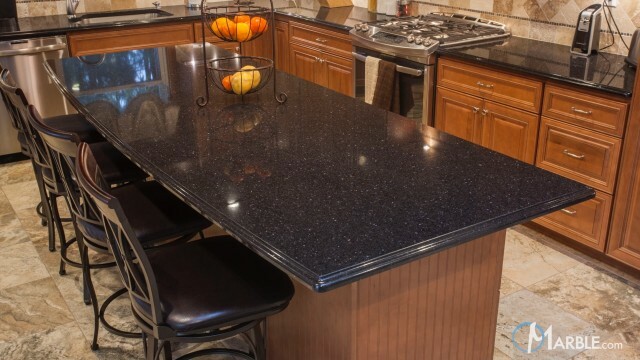 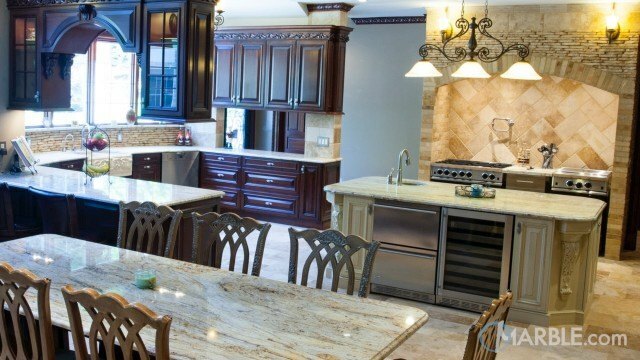 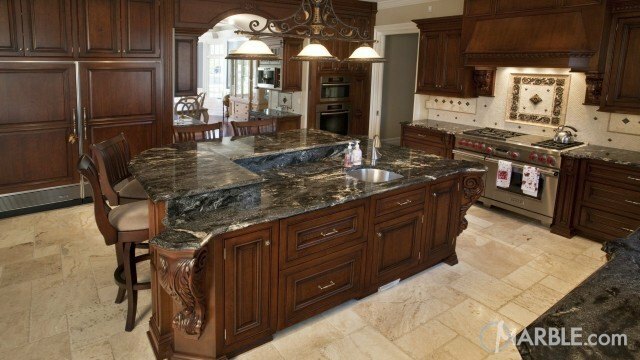 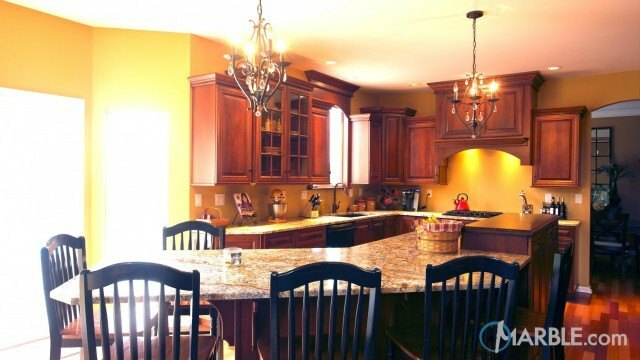 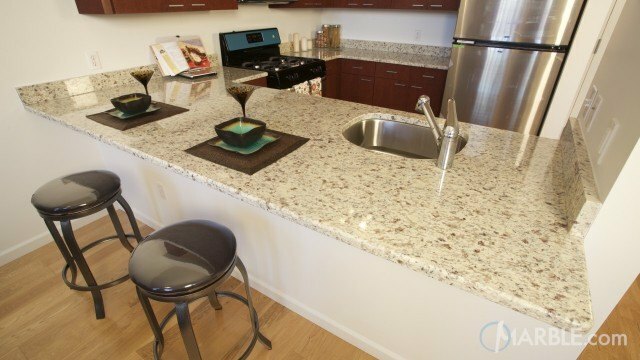 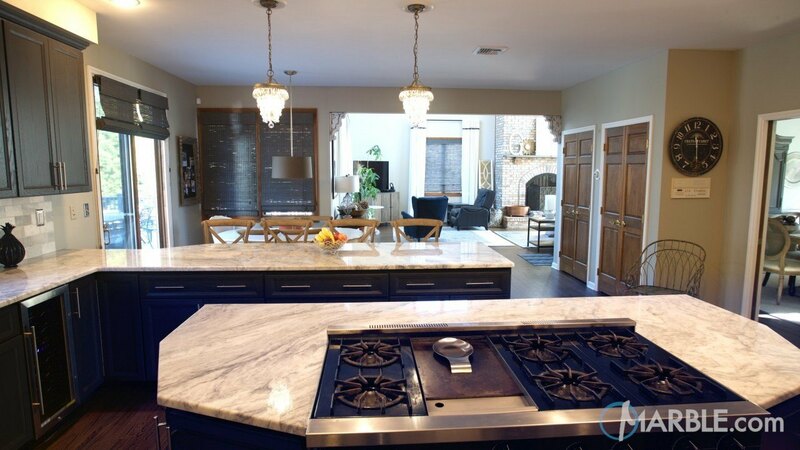 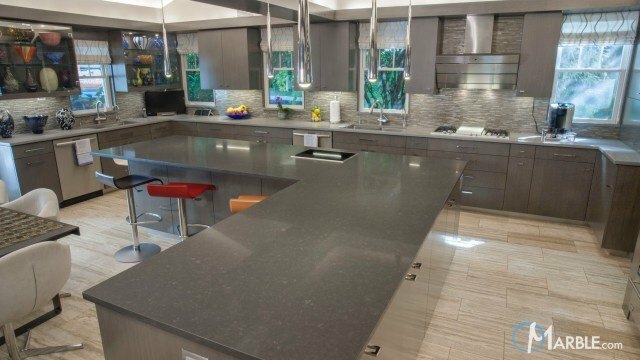 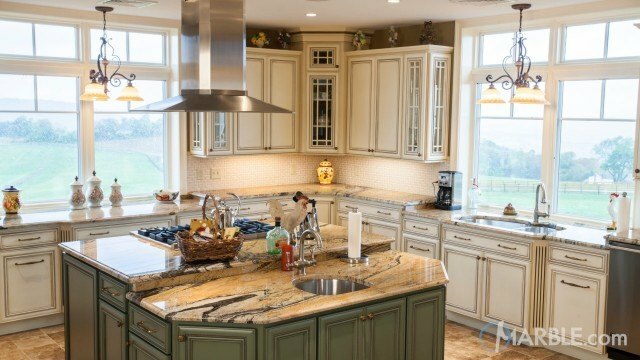 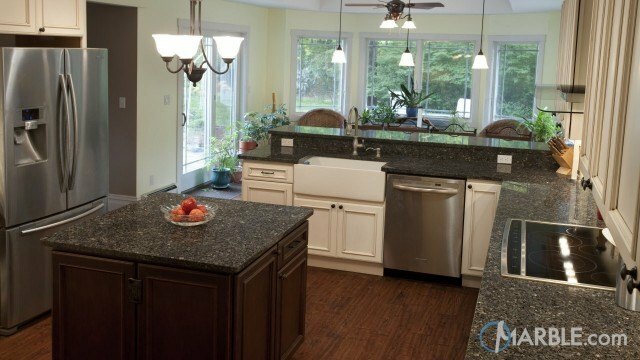 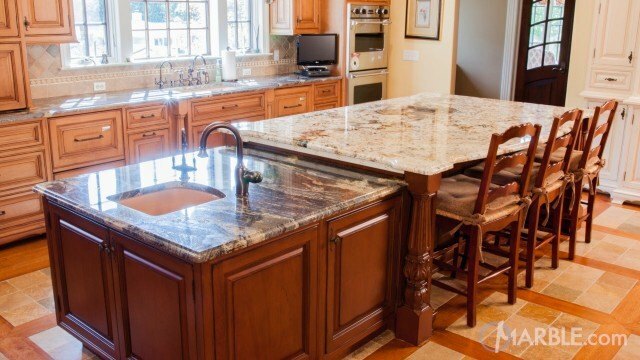 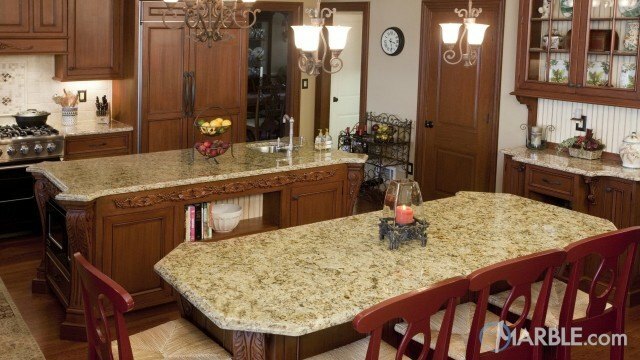 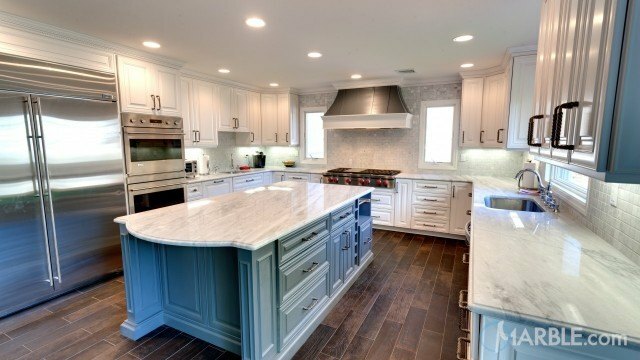 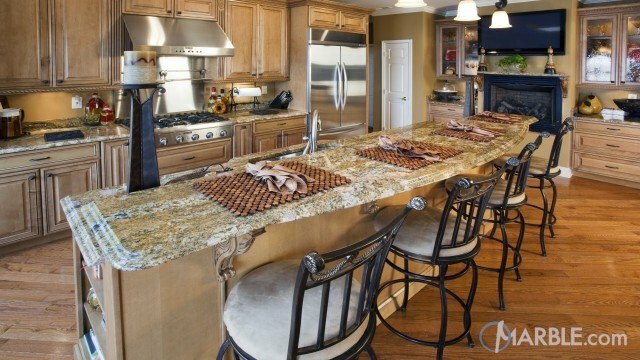 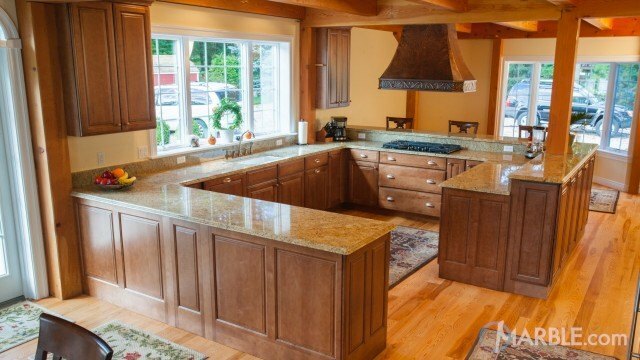 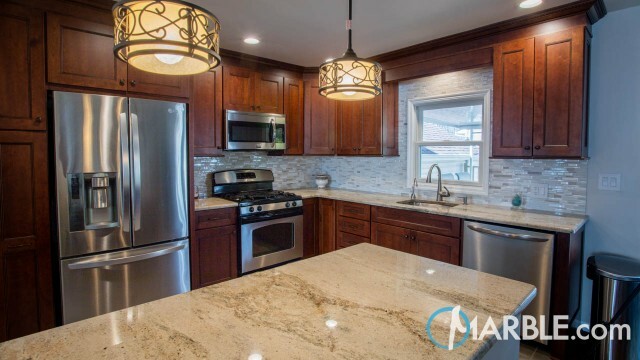 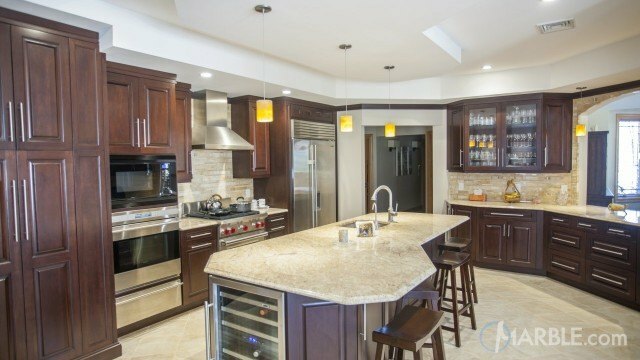 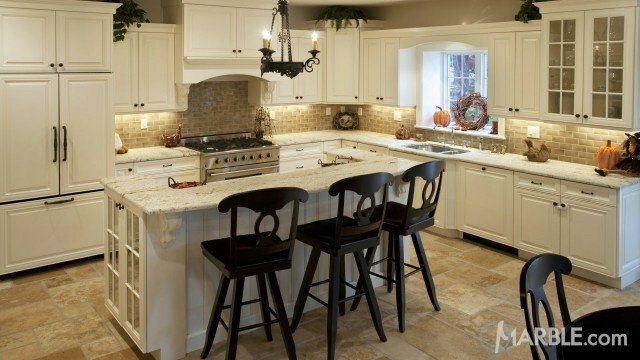 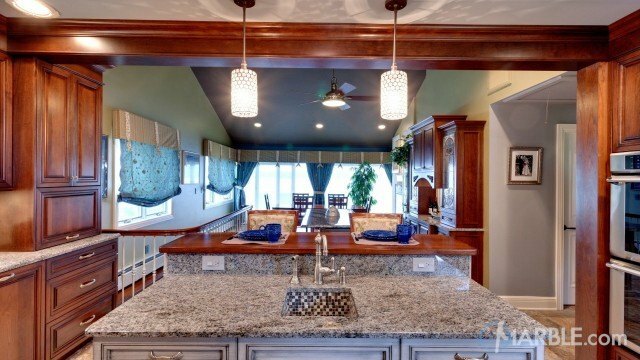 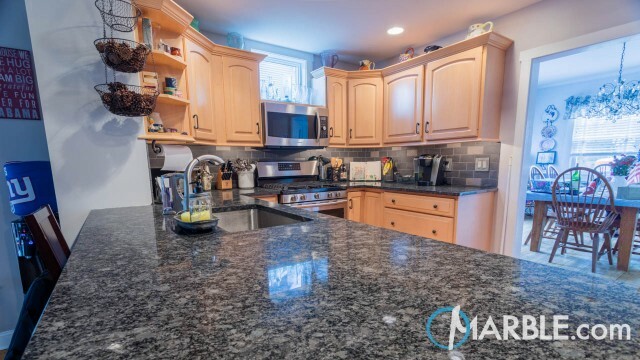 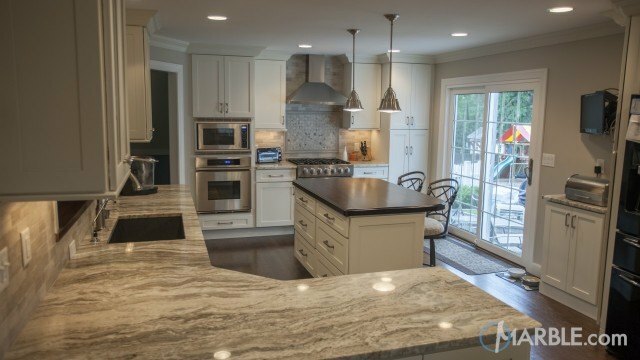 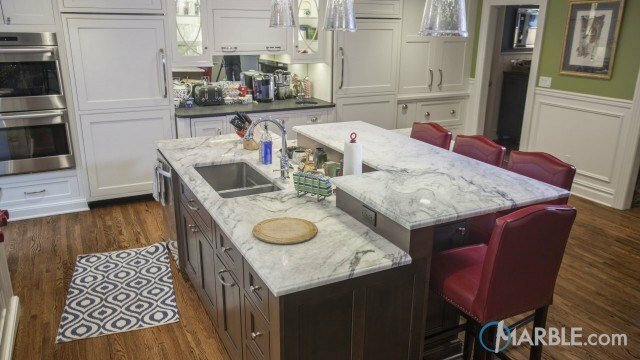 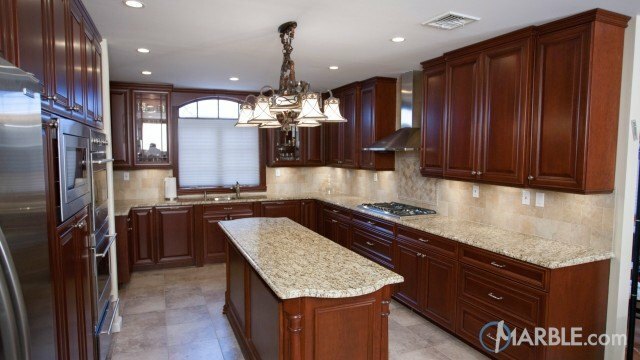 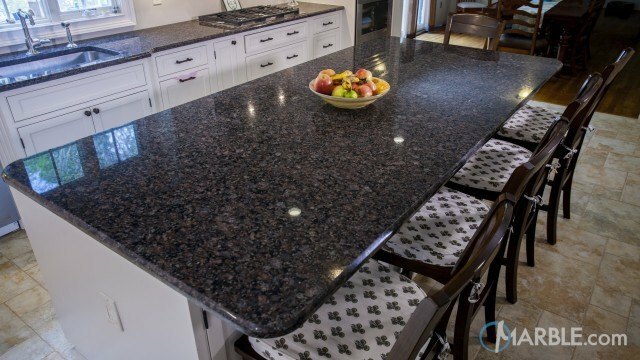 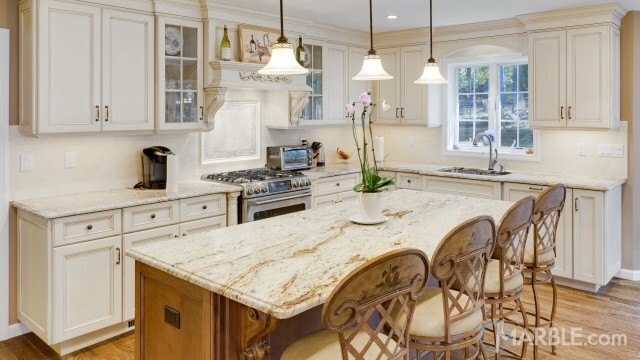 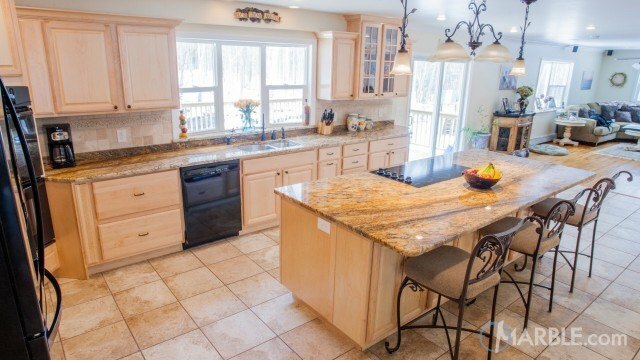 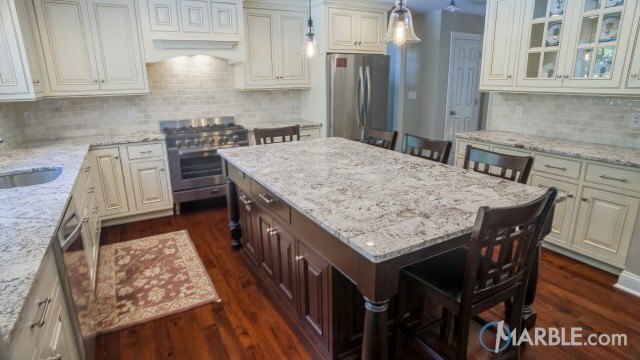 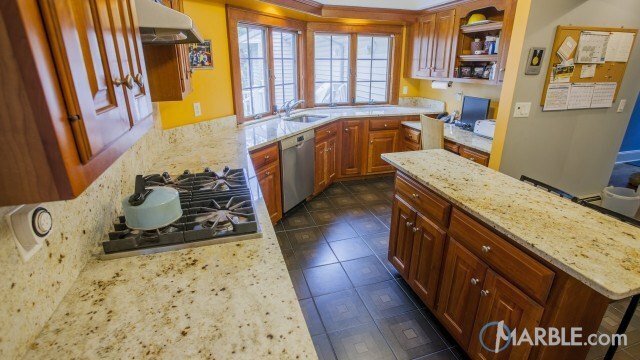 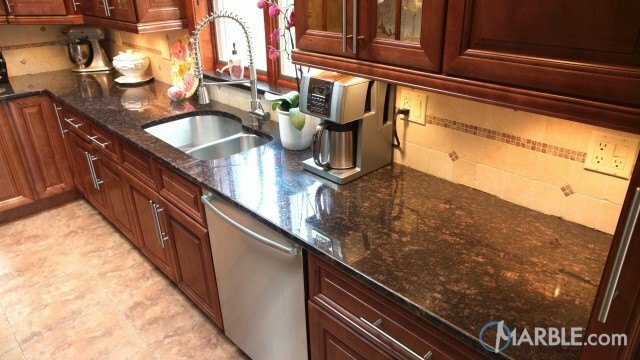 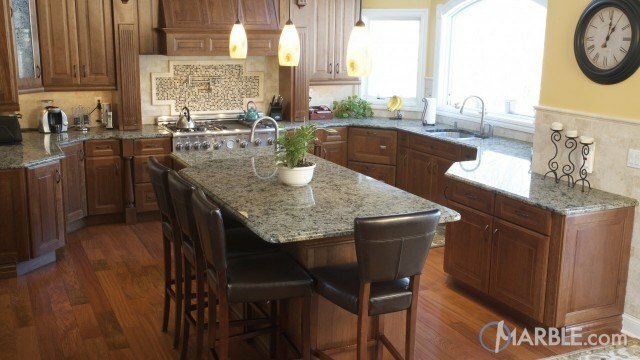 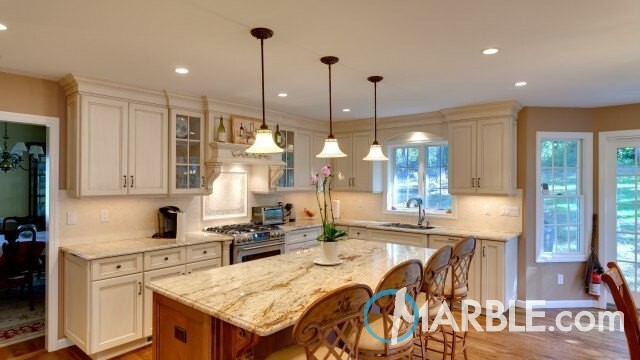 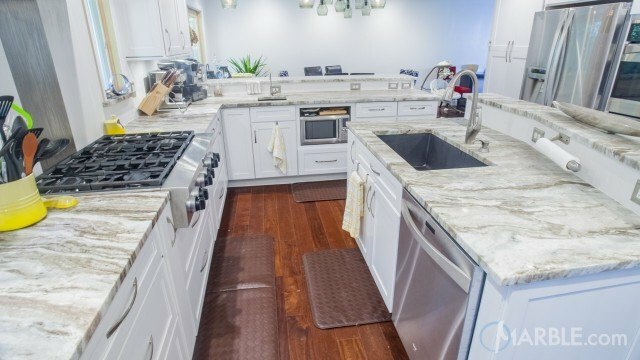 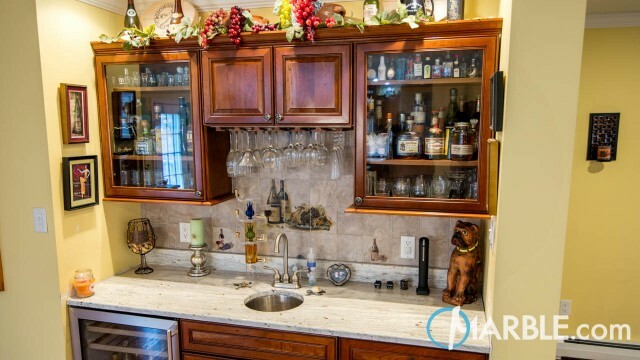 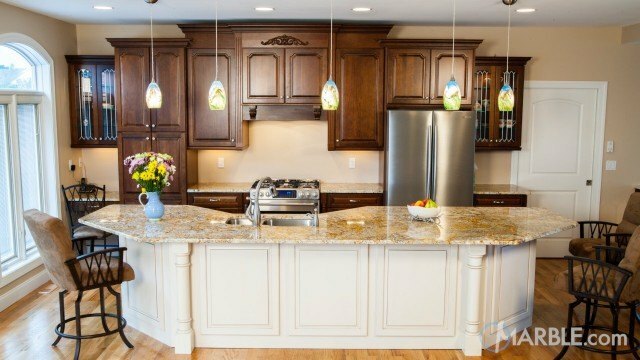 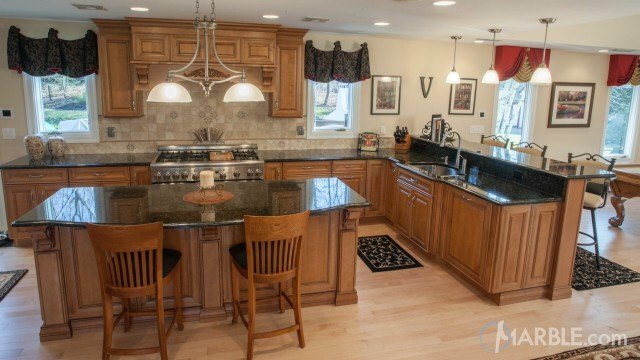 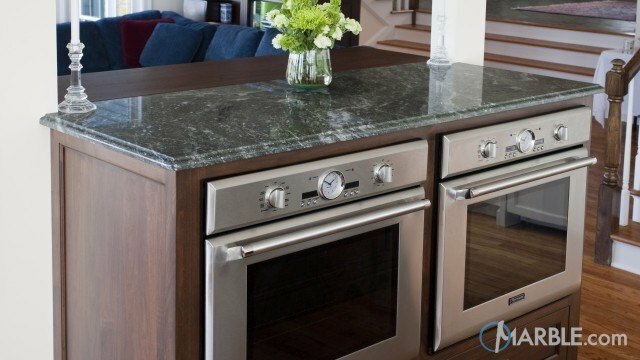 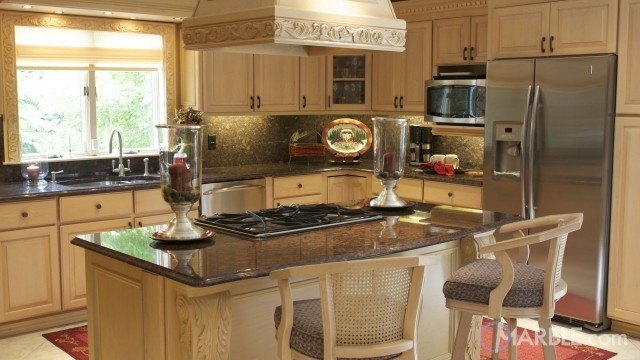 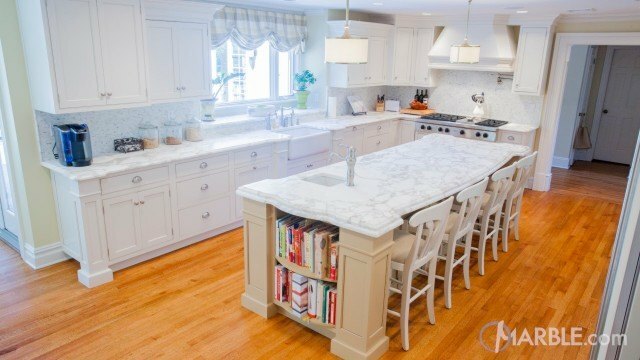 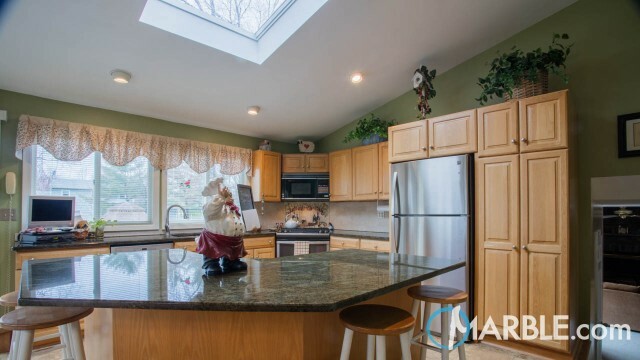 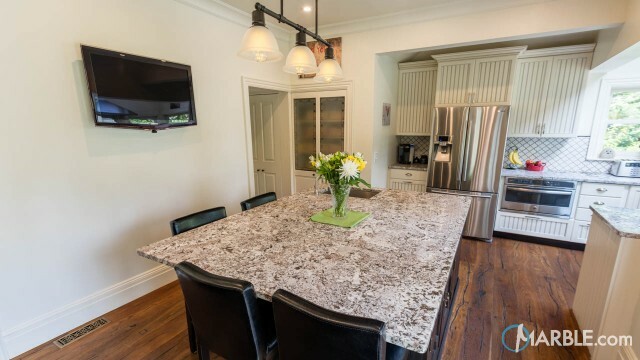 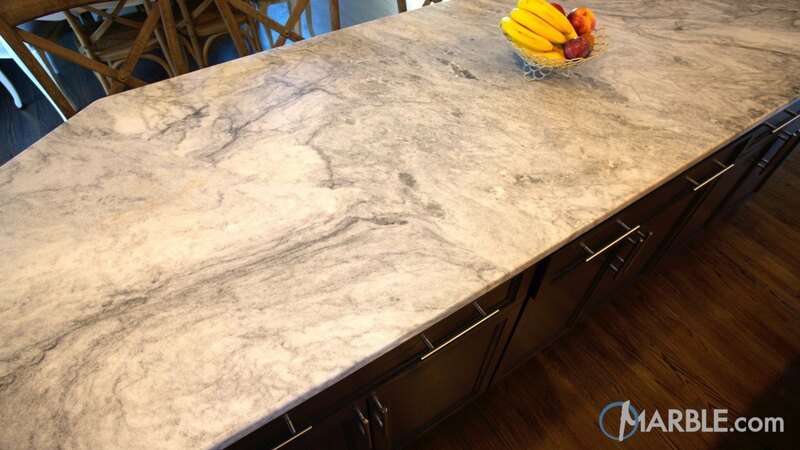 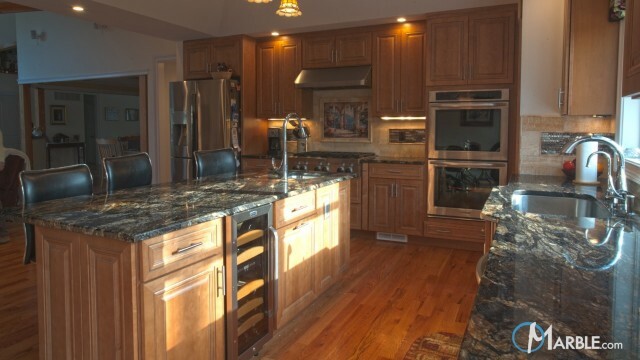 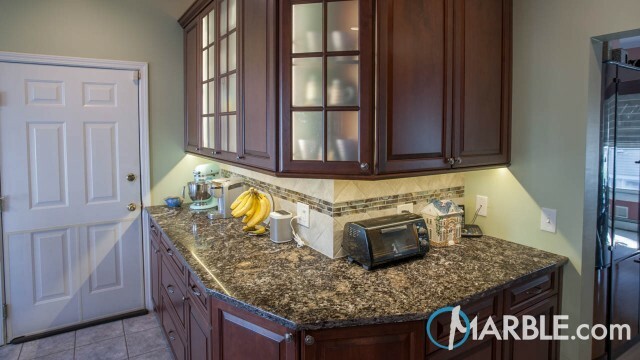 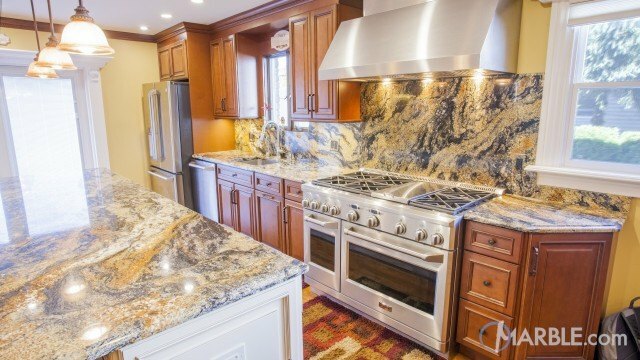 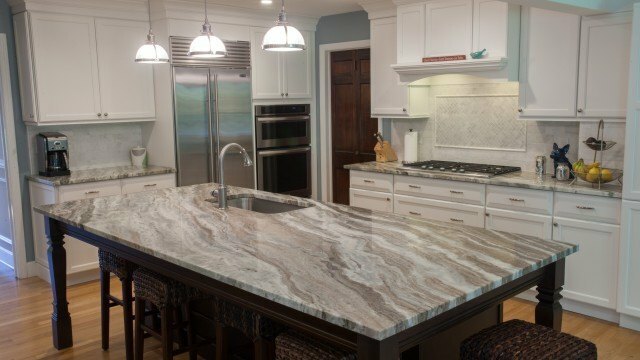 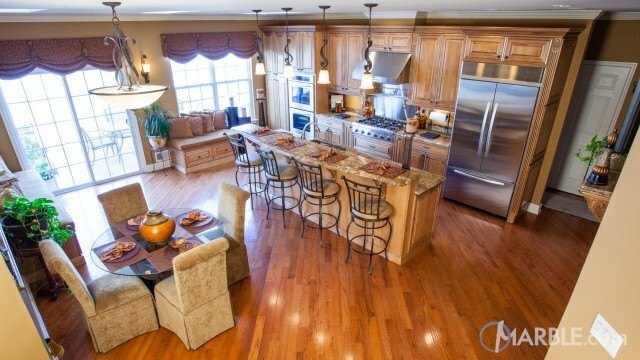 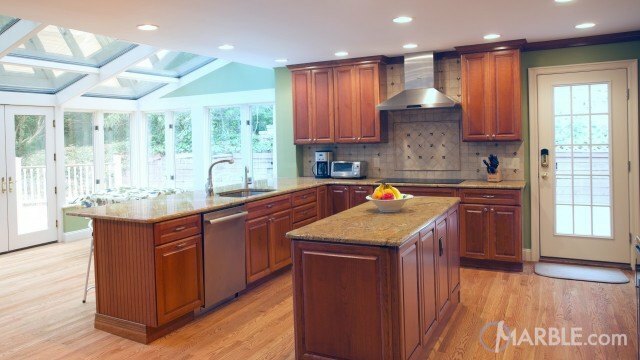 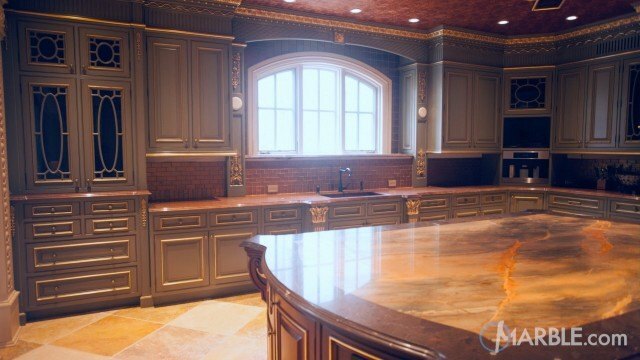 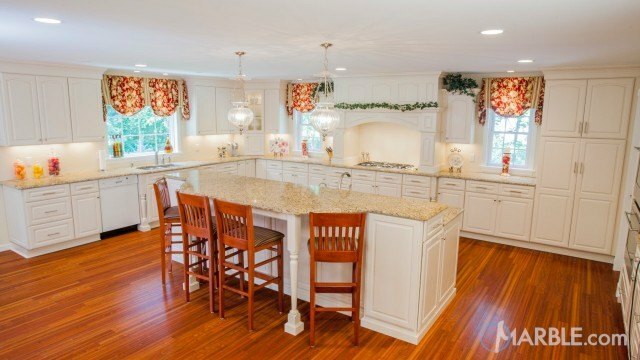 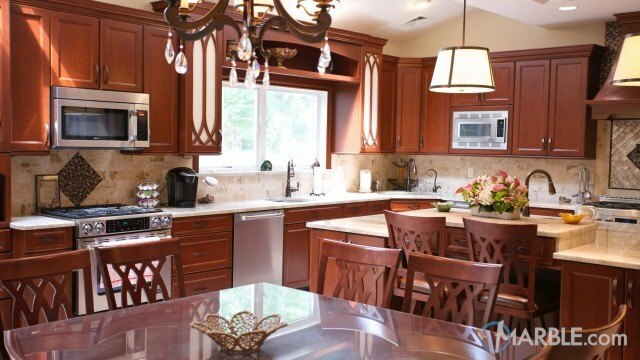 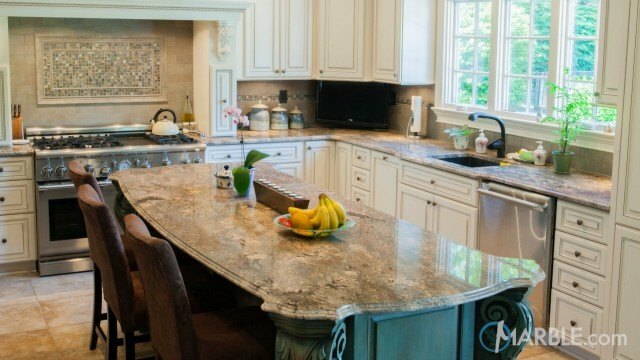 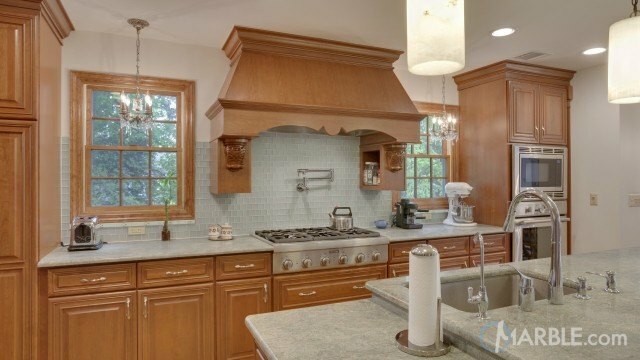 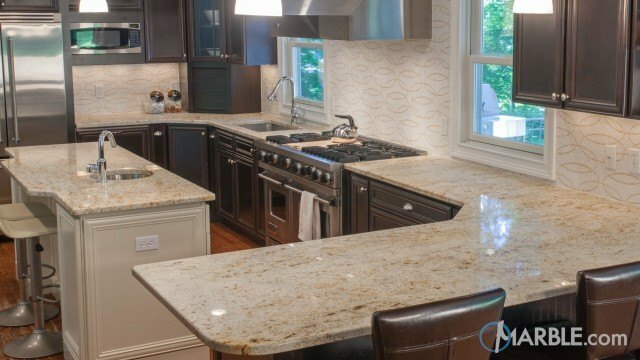 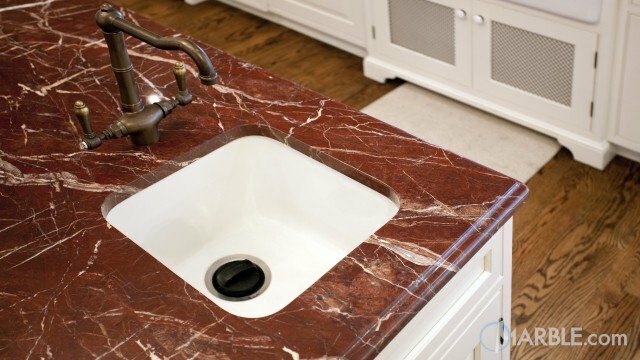 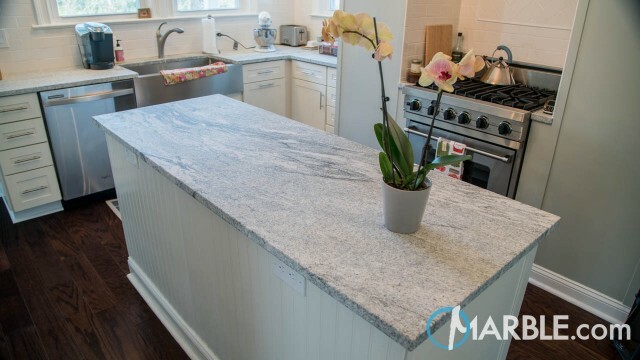 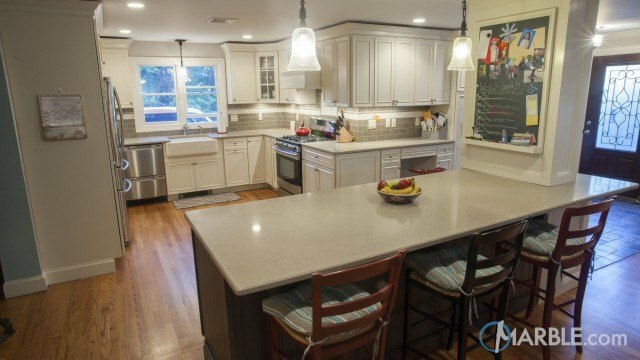 Straight lines and angles on the counter top and island contrast the swirling veins of the stone. 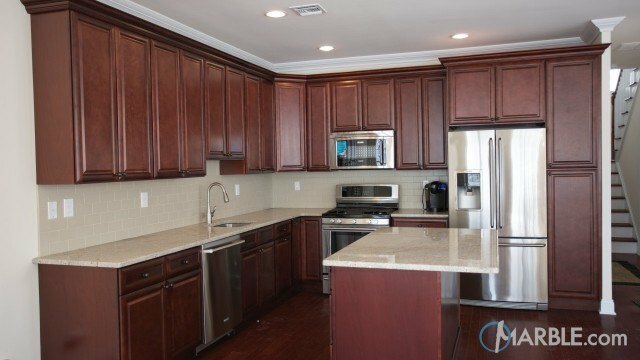 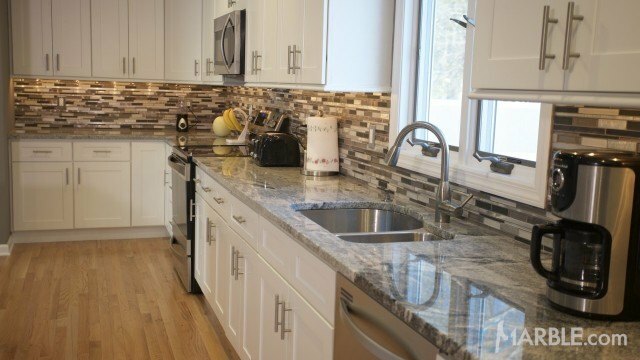 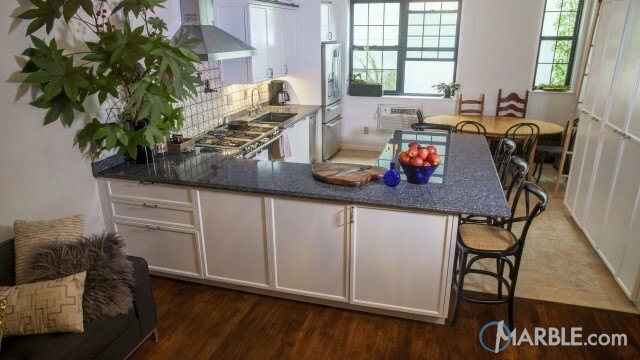 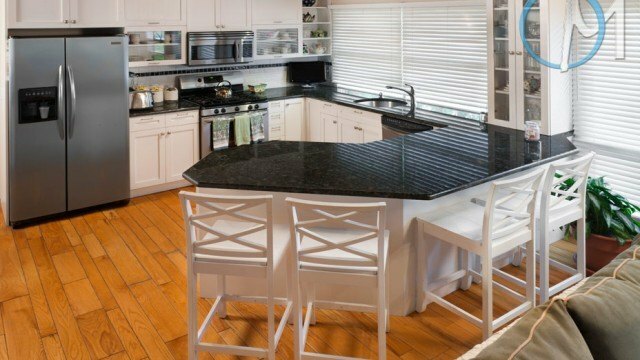 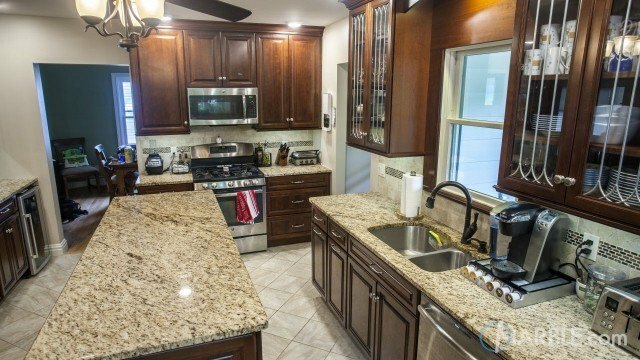 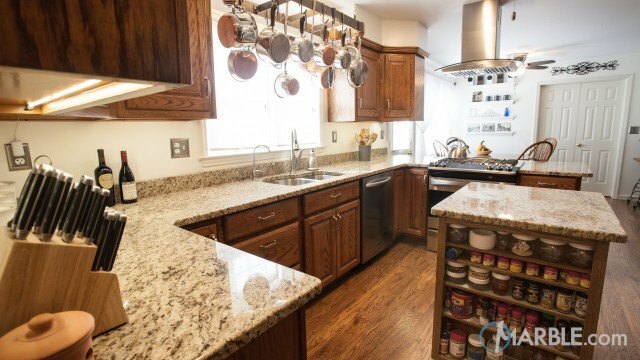 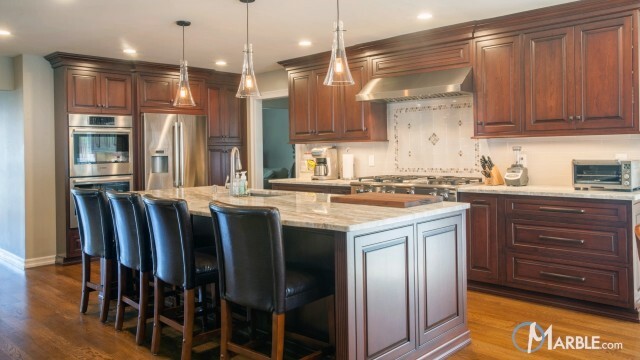 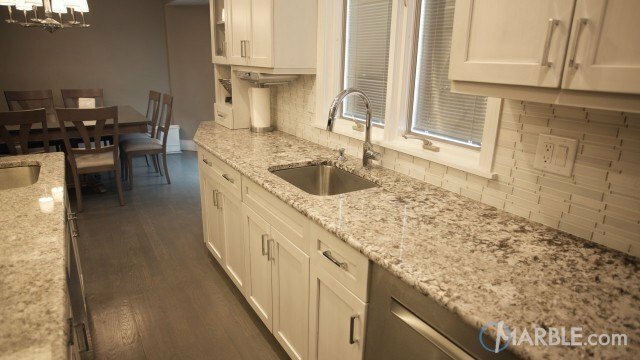 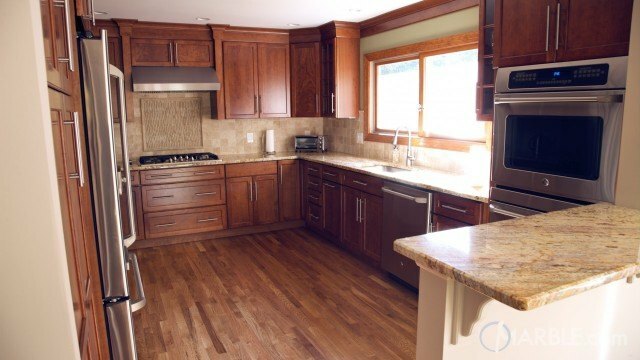 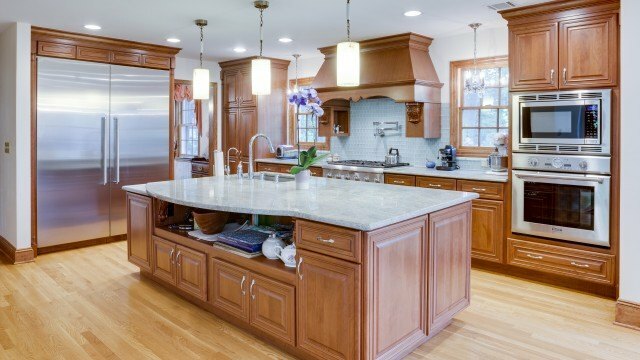 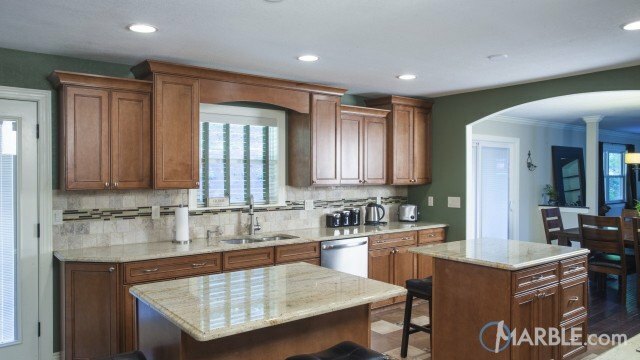 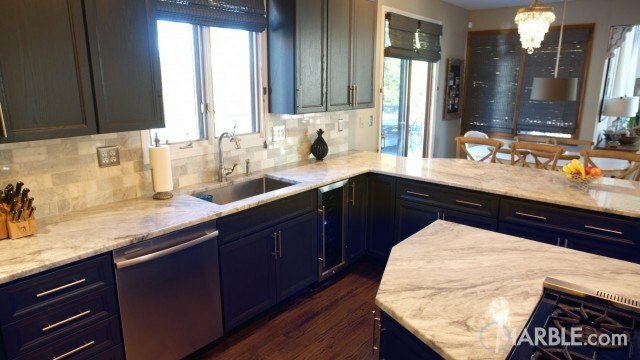 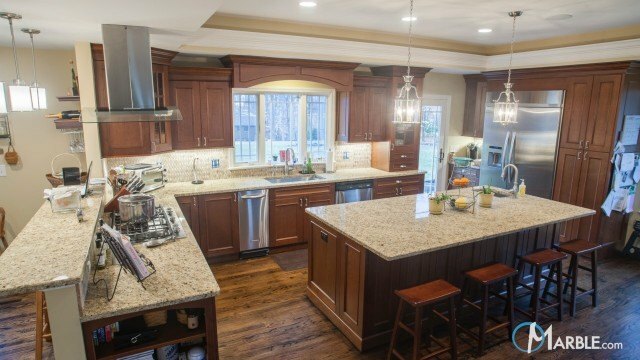 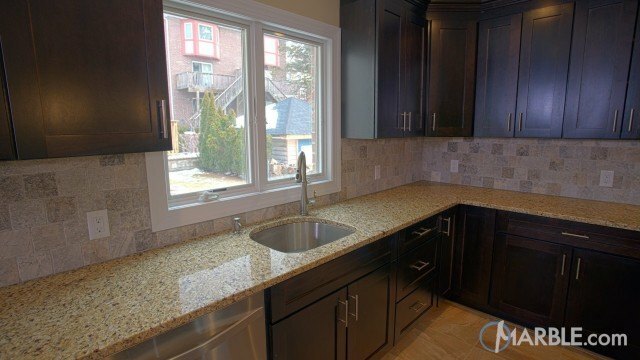 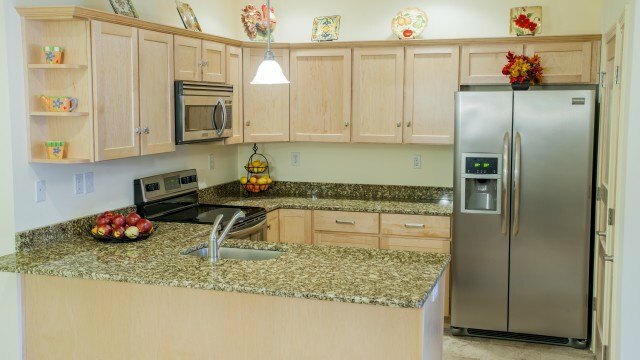 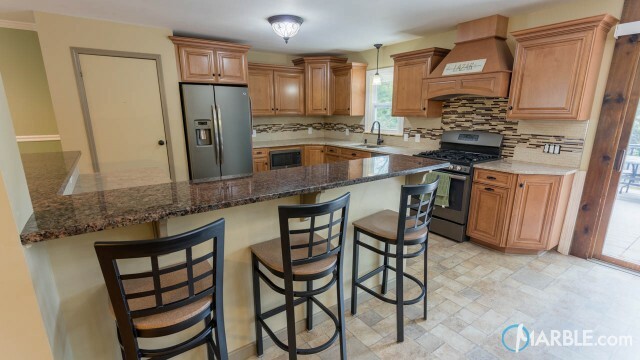 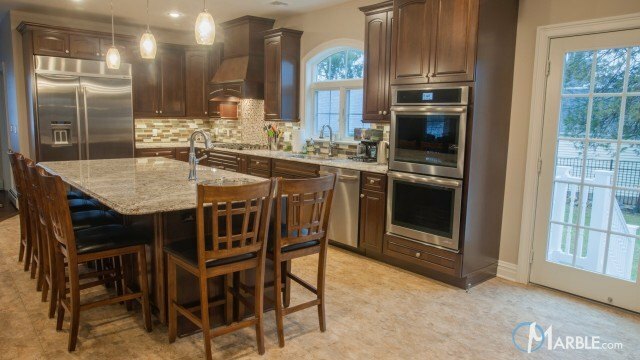 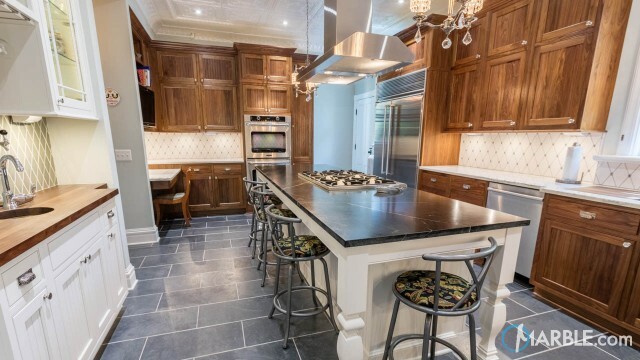 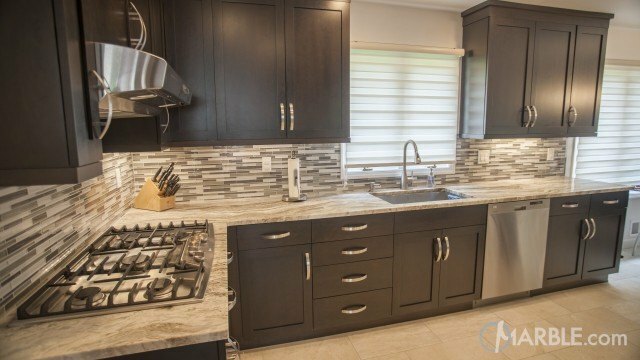 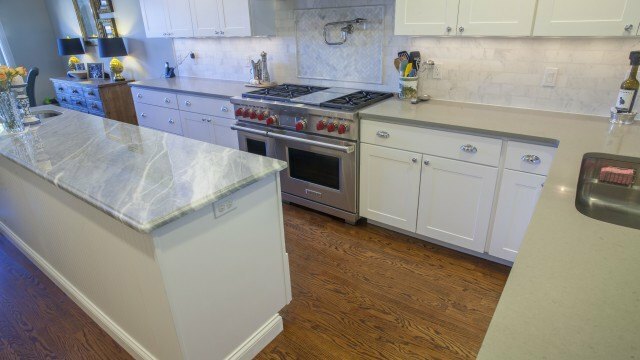 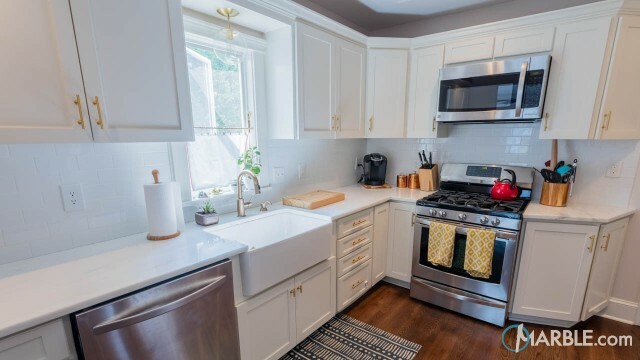 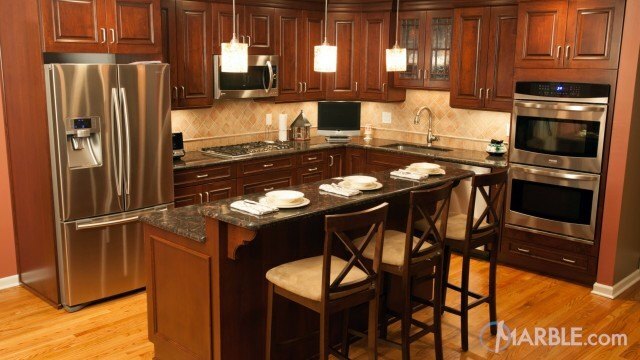 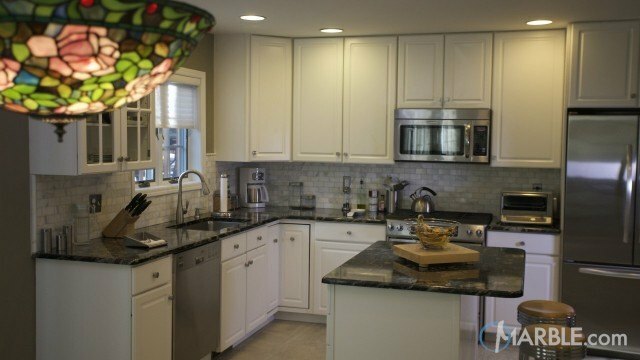 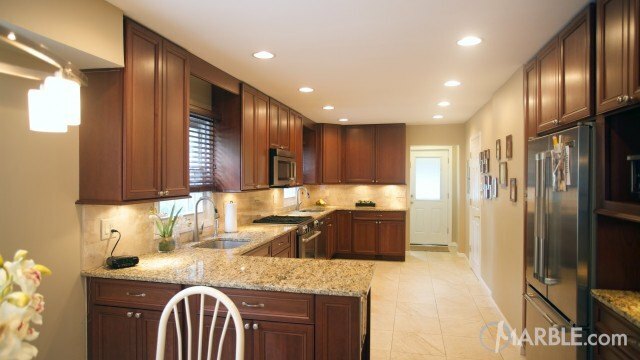 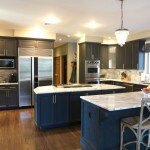 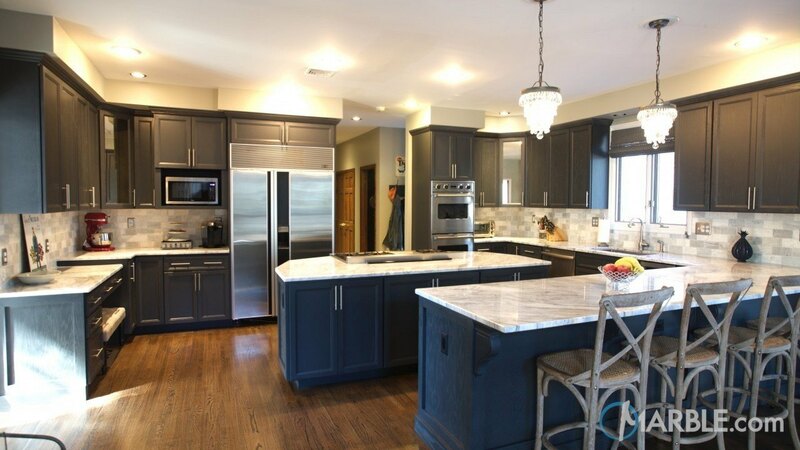 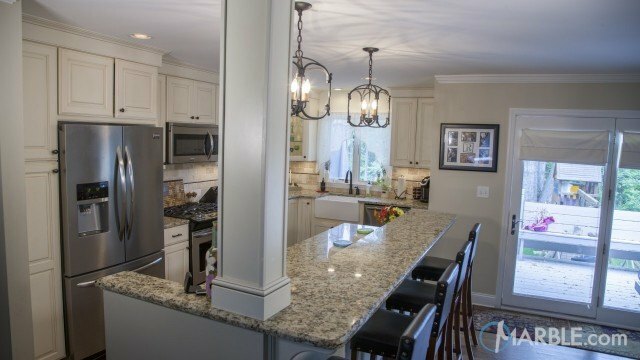 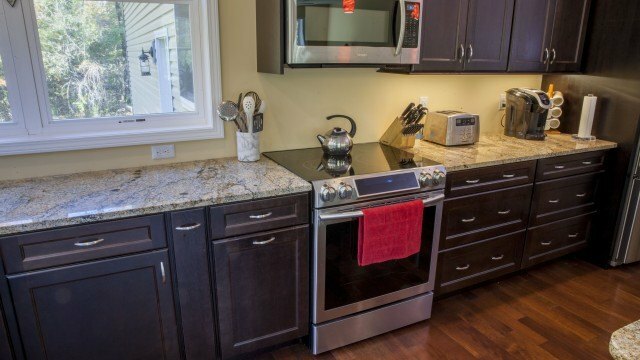 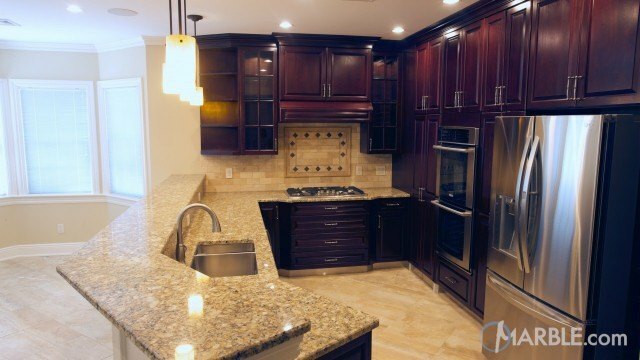 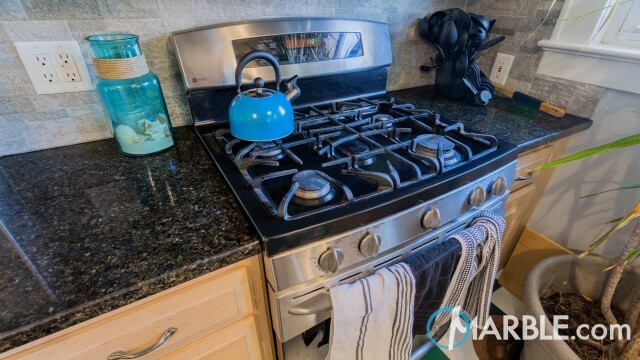 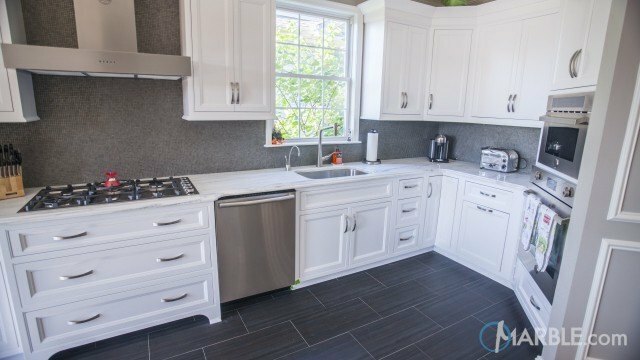 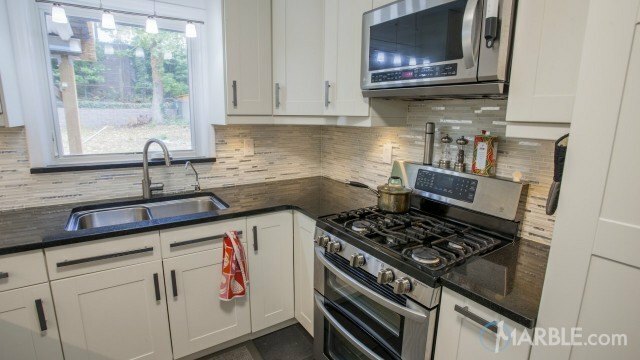 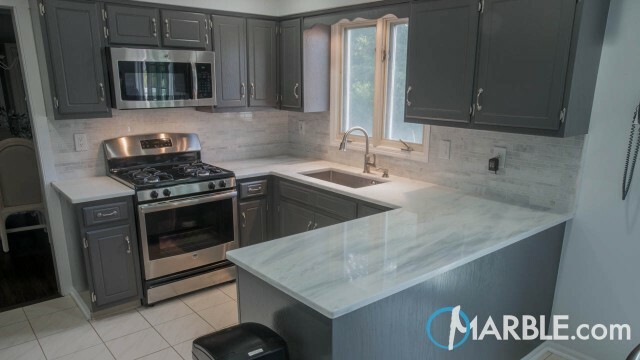 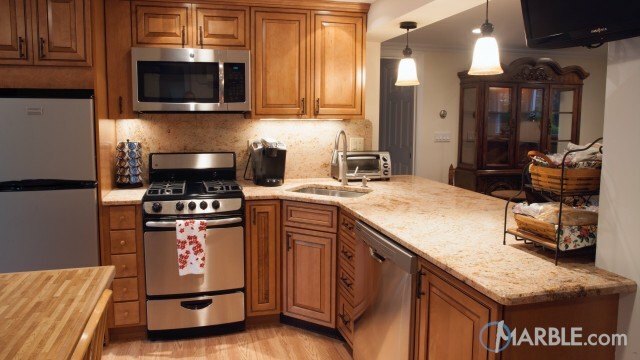 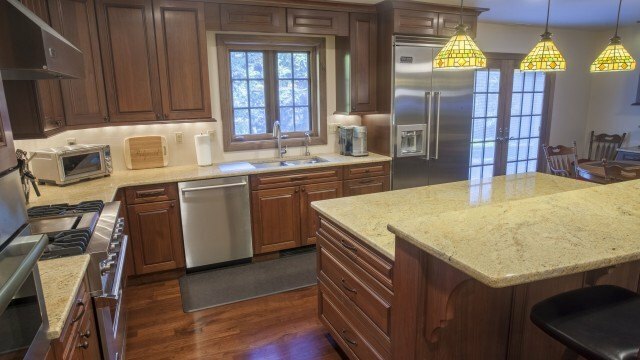 The dark cabinets work perfectly with the wood floor to create a traditional look, while stainless steel appliances and hardware add a modern touch. 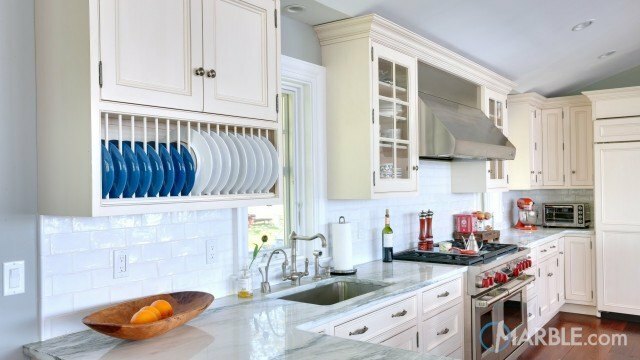 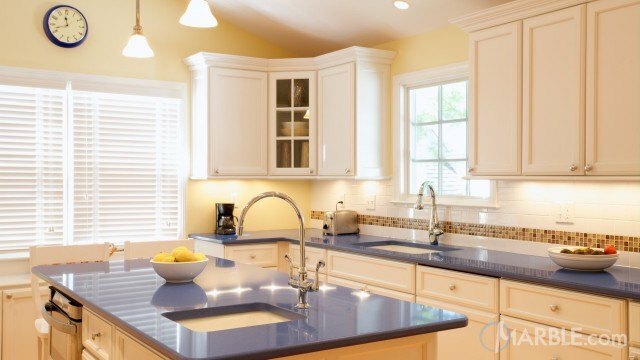 Pops of color in the mixer and bowl of fruit add character to this charming kitchen.